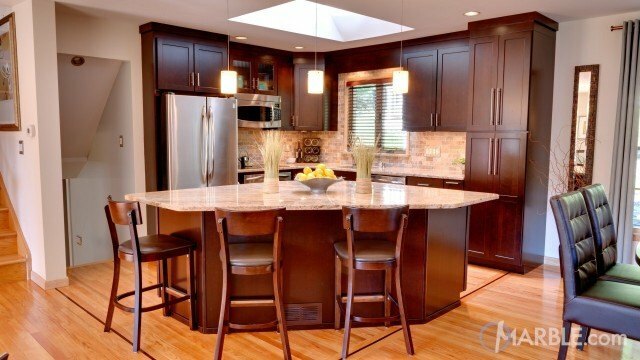 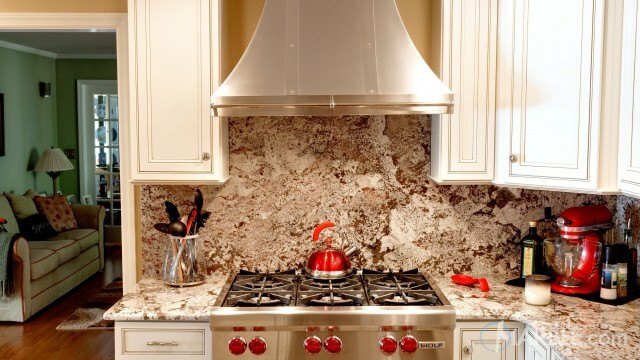 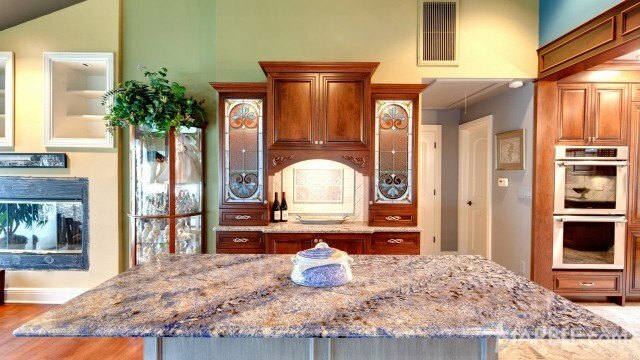 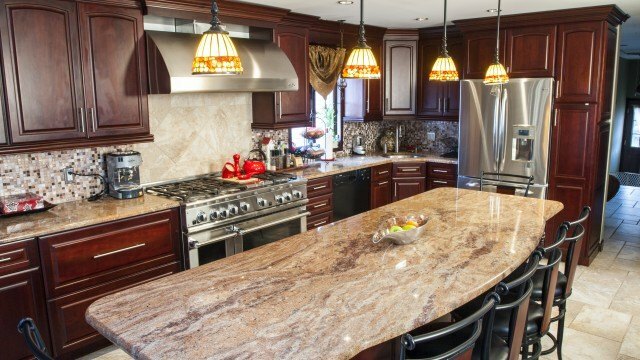 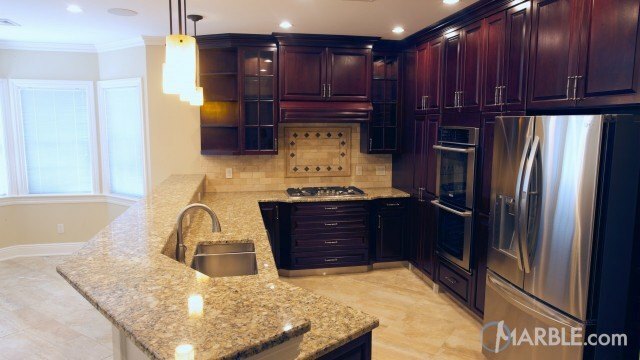 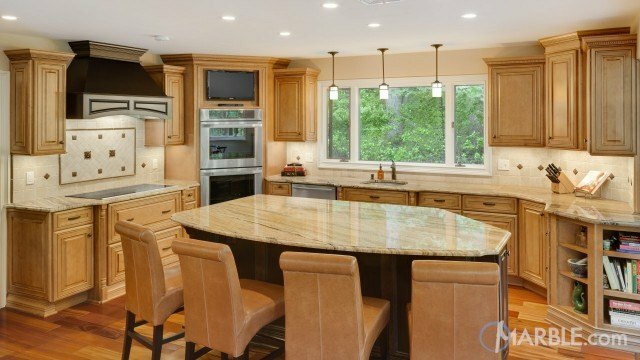 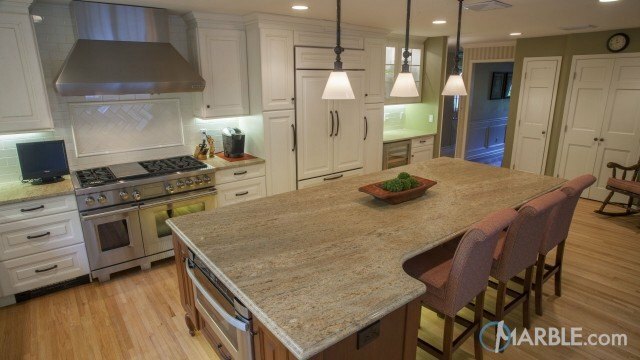 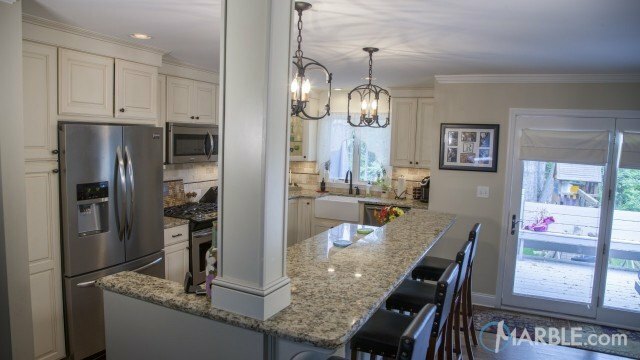 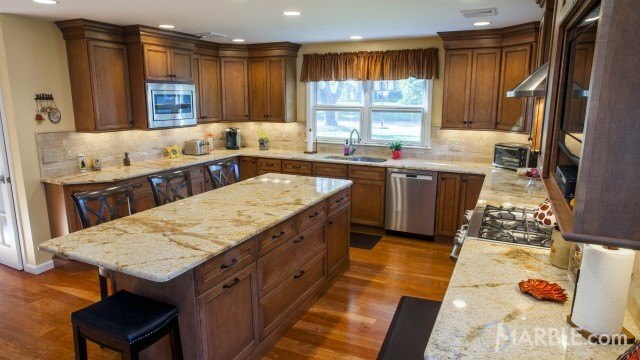 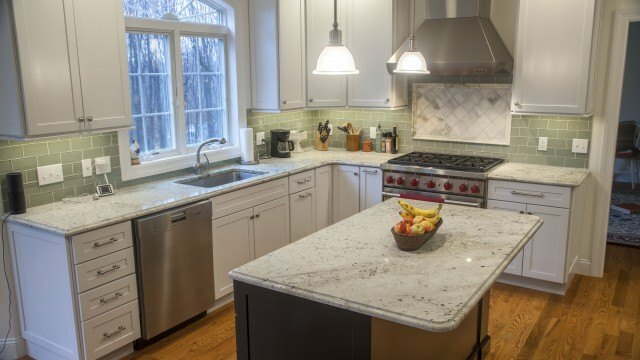 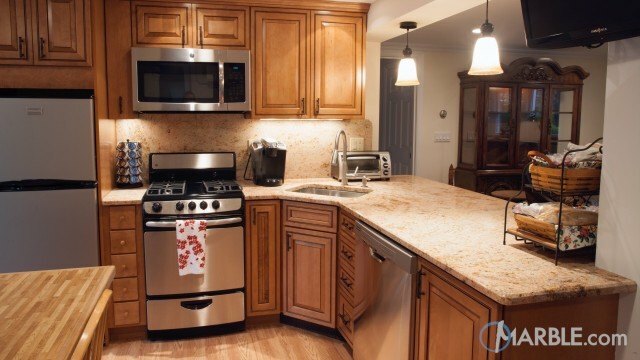 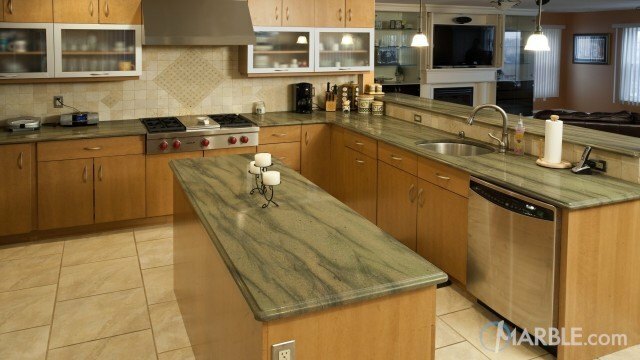 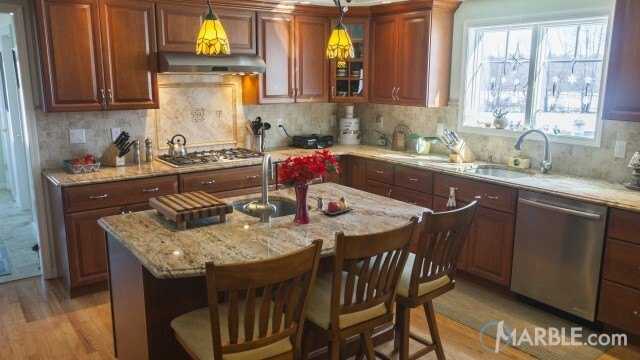 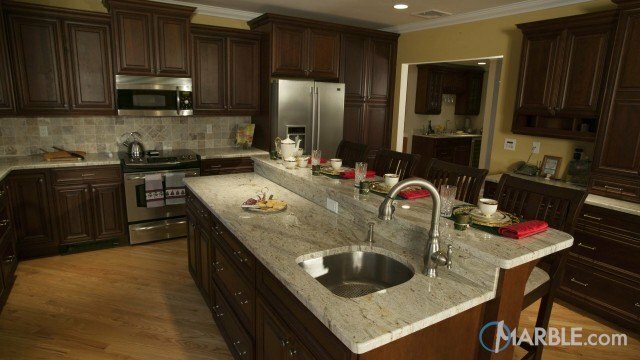 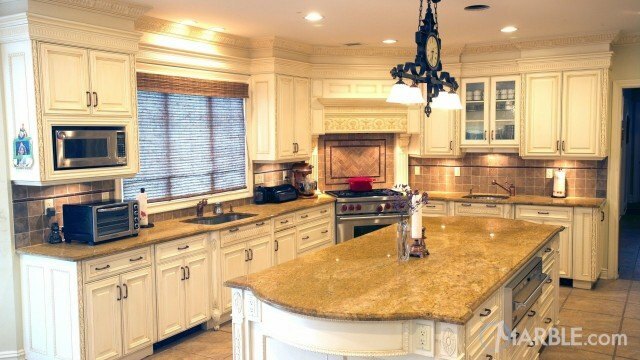 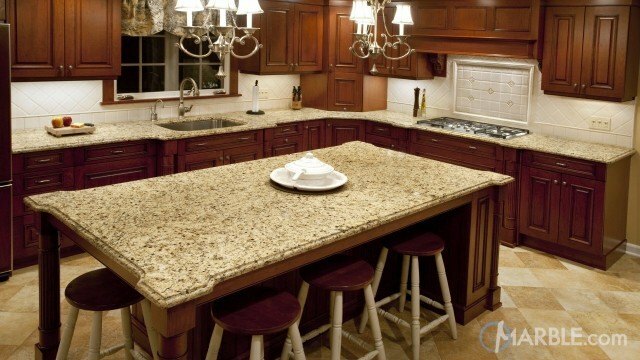 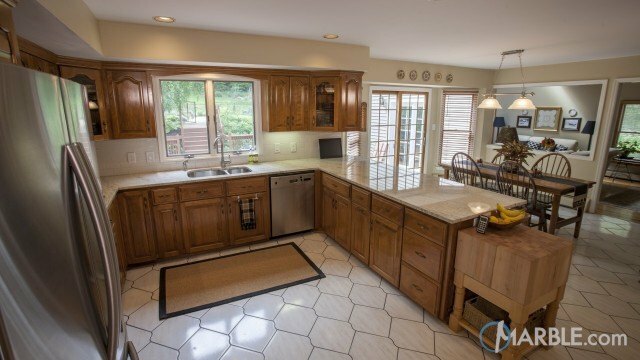 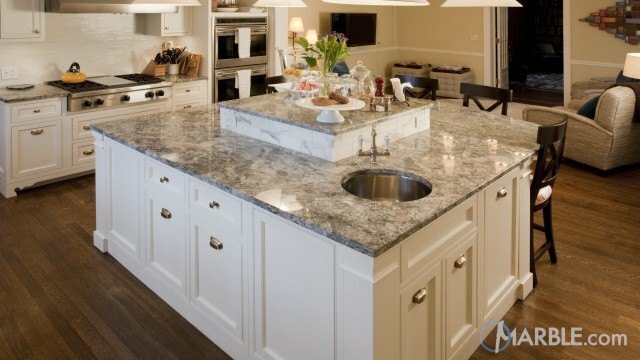 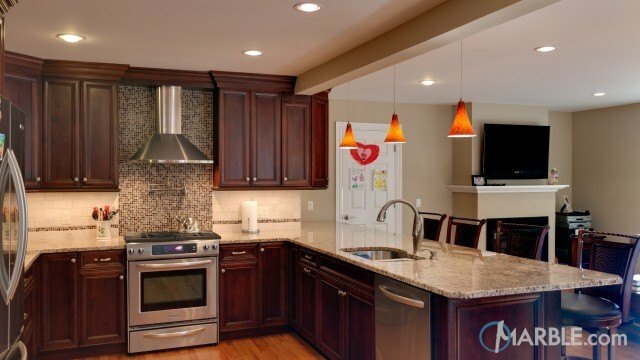 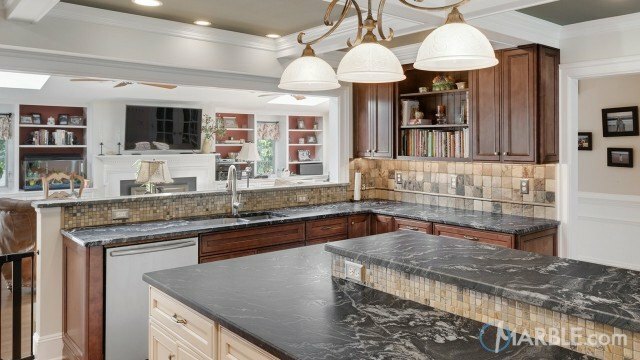 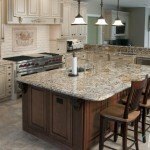 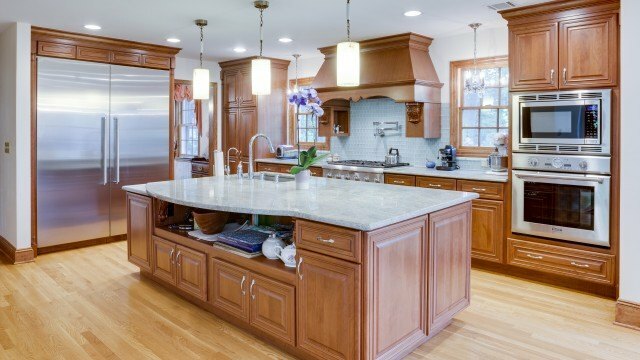 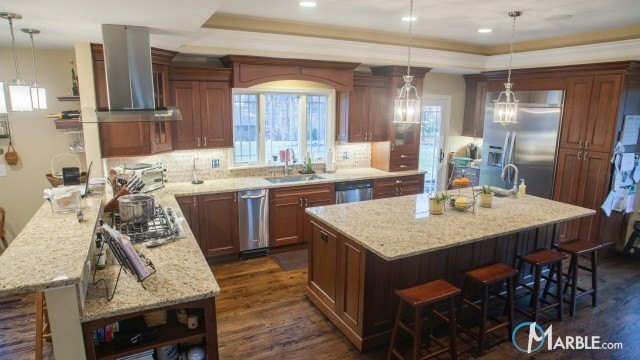 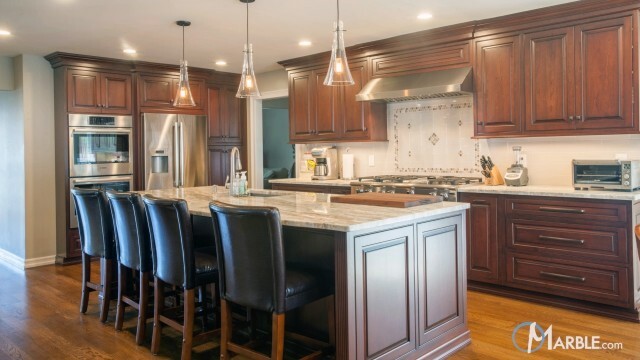 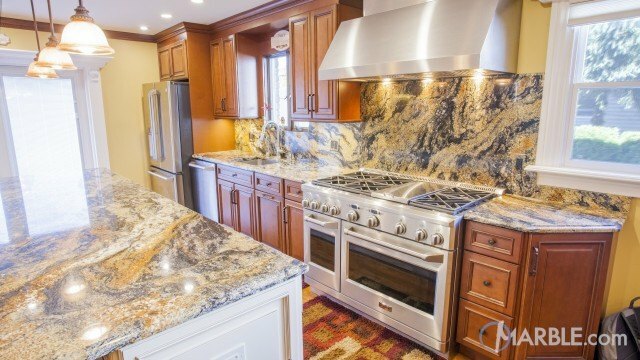 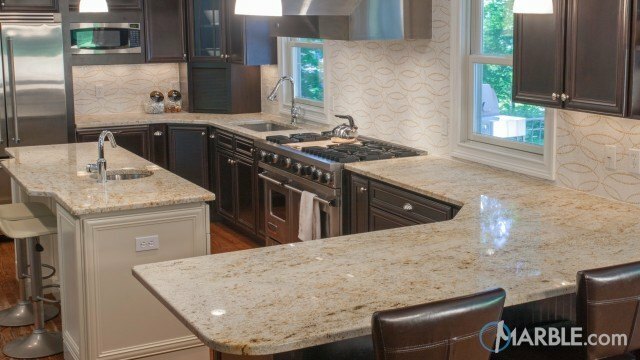 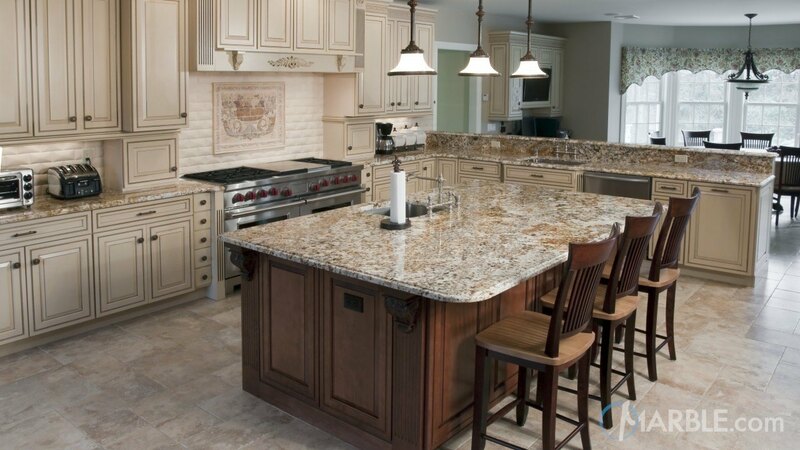 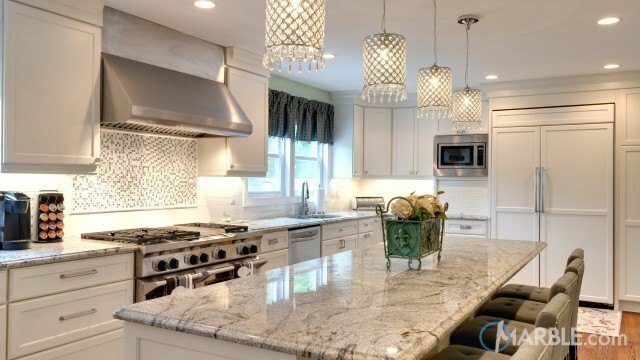 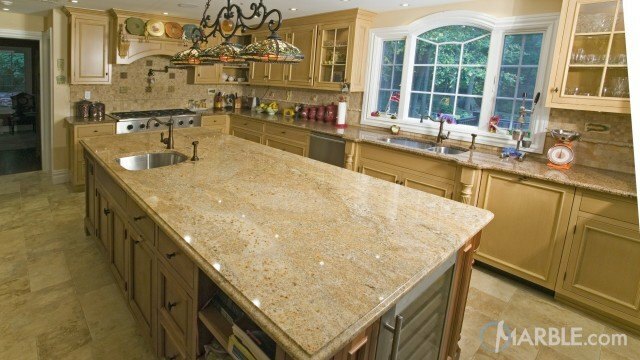 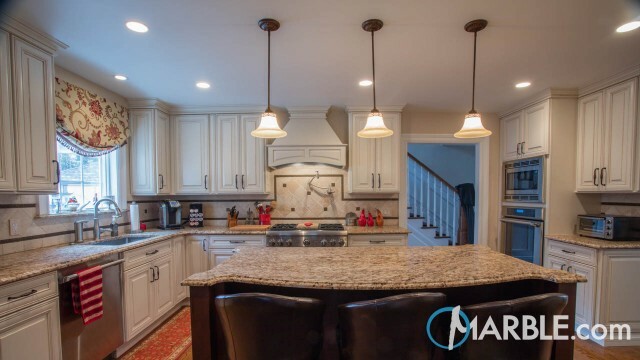 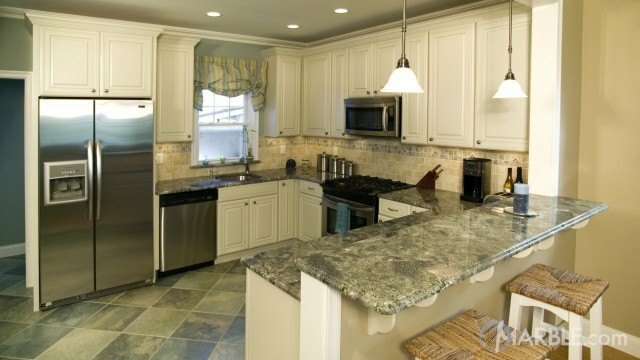 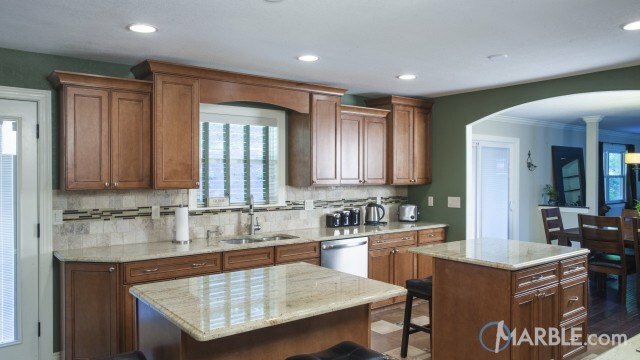 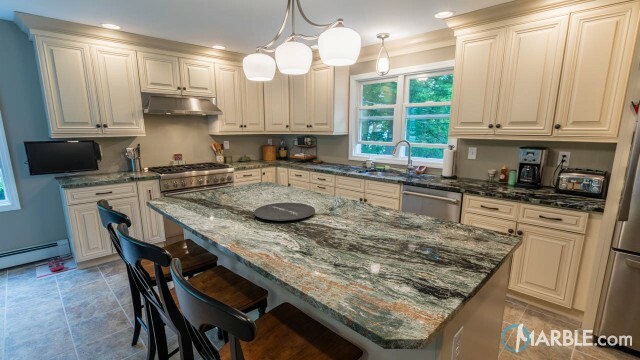 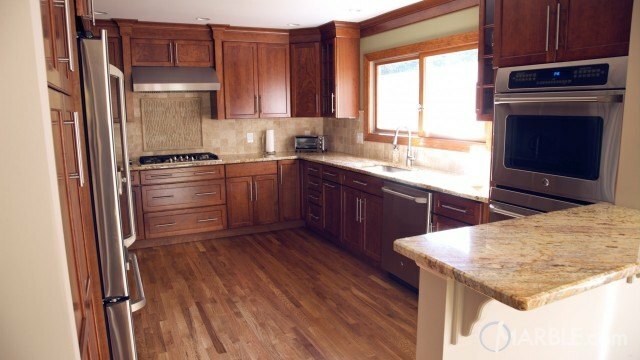 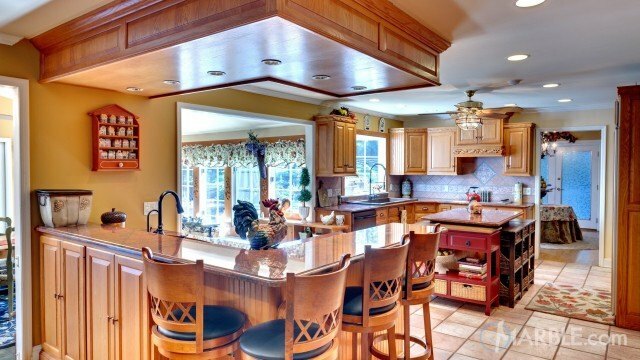 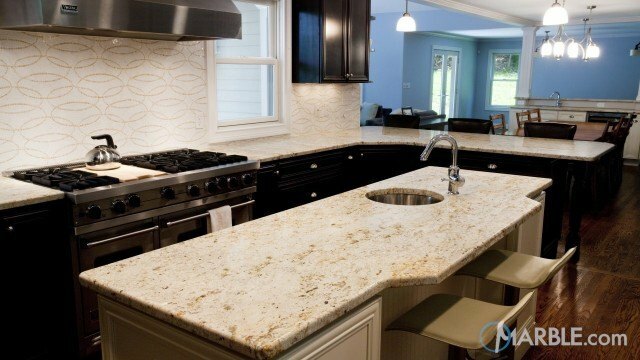 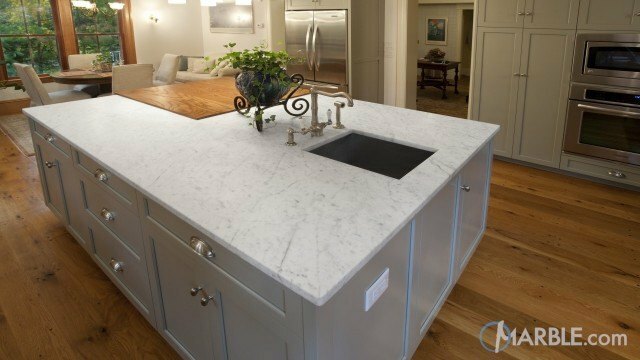 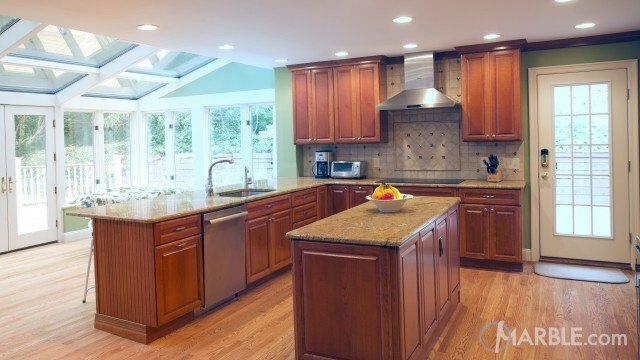 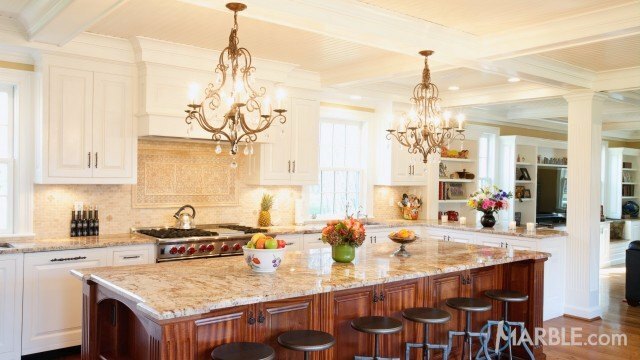 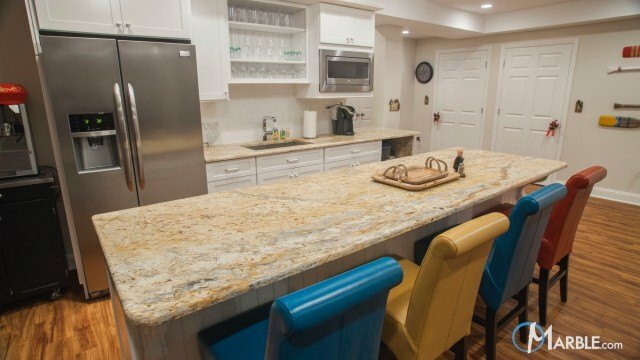 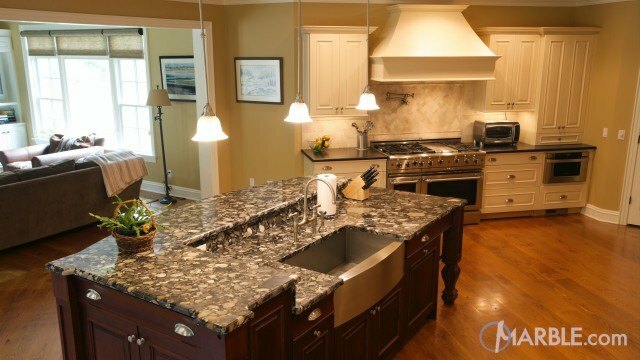 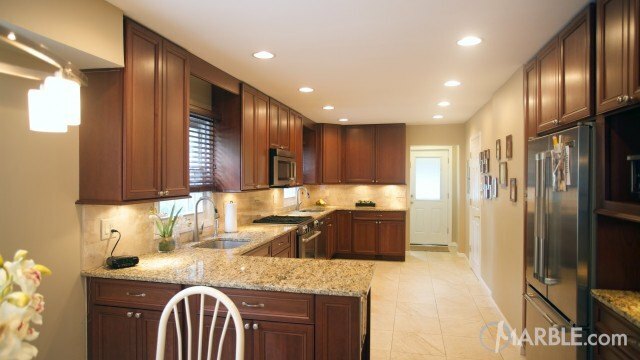 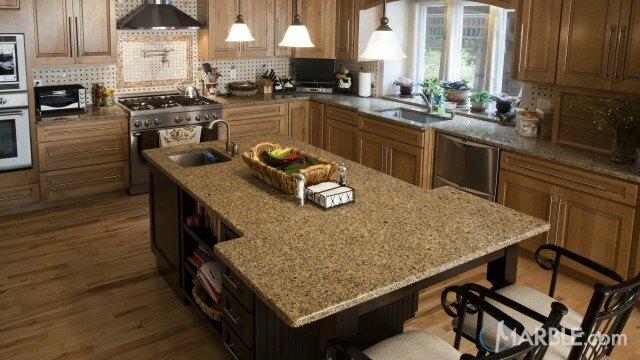 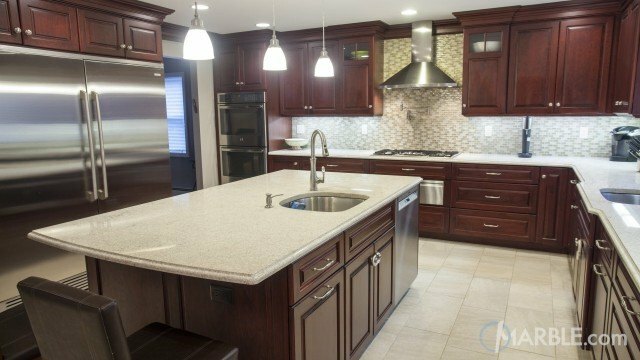 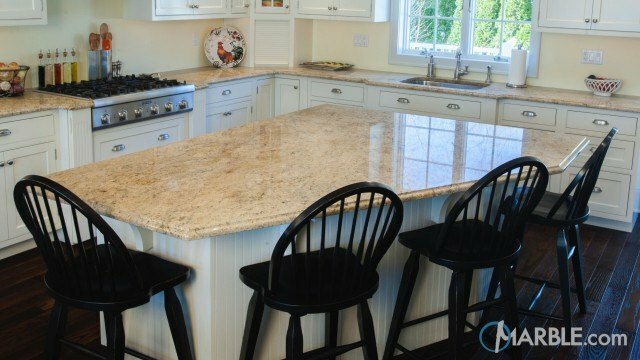 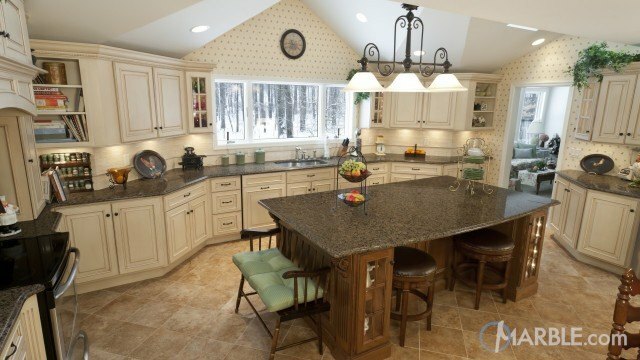 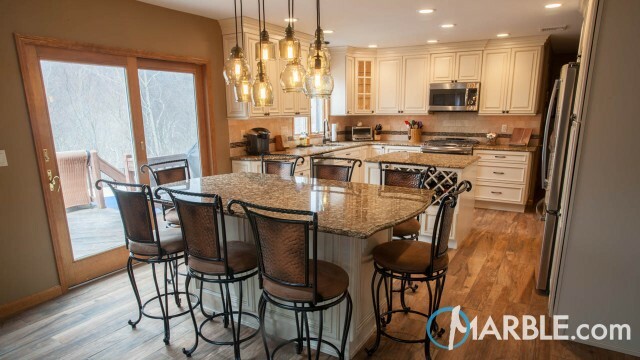 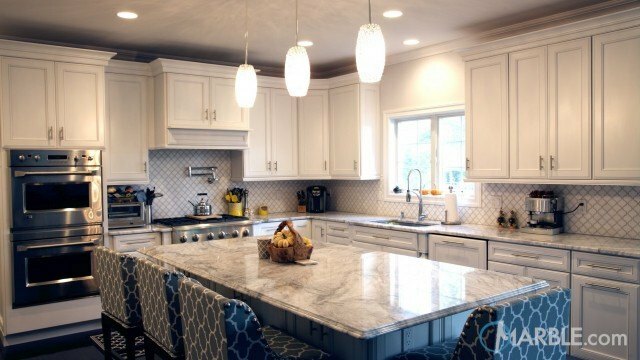 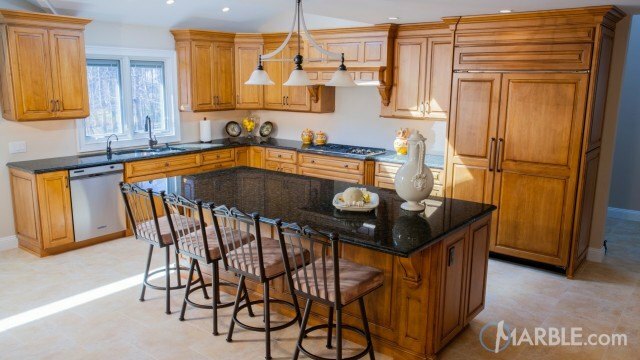 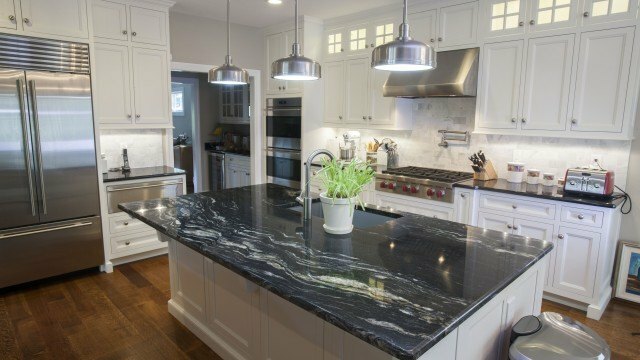 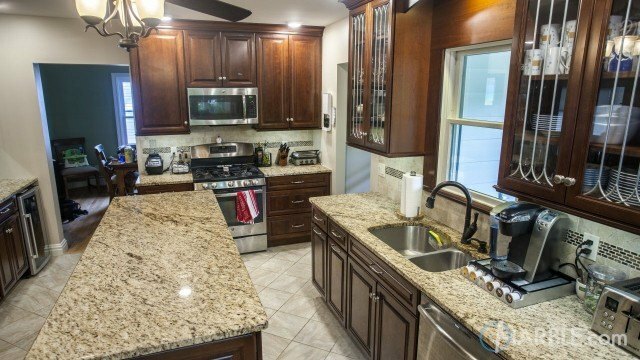 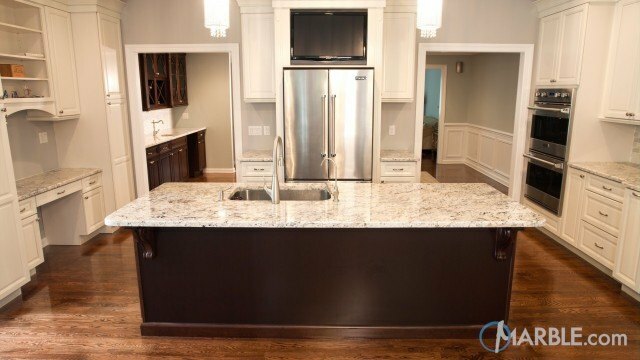 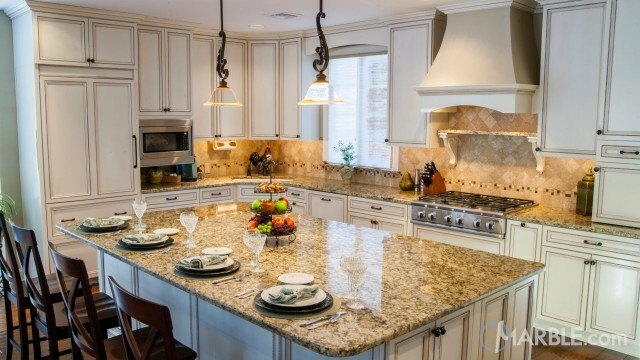 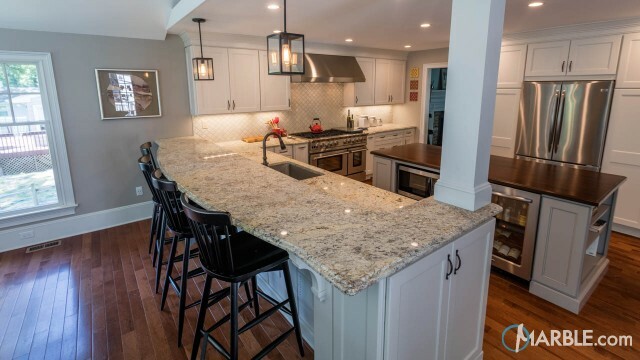 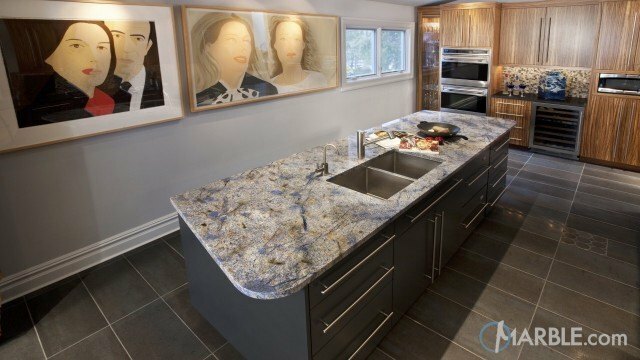 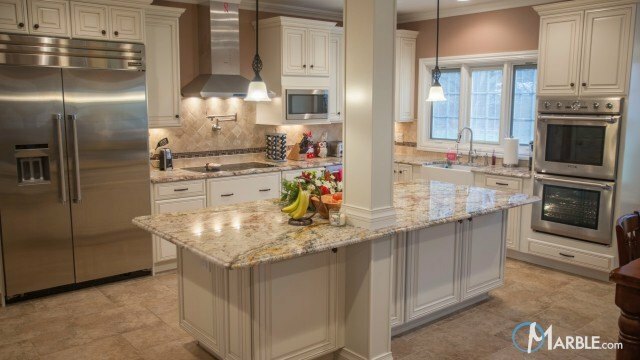 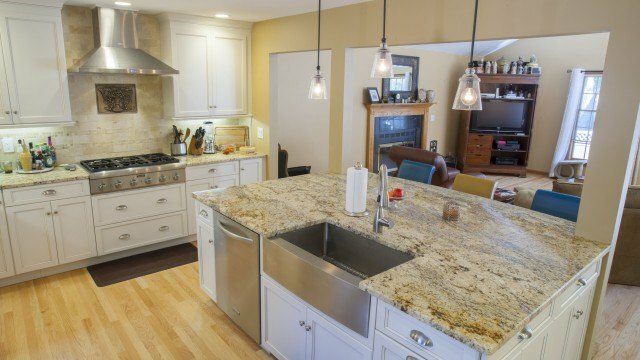 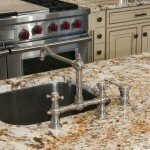 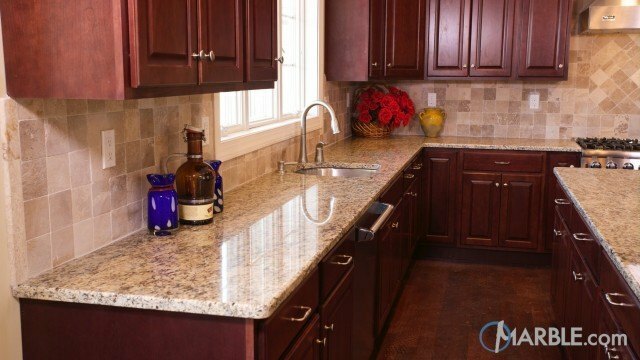 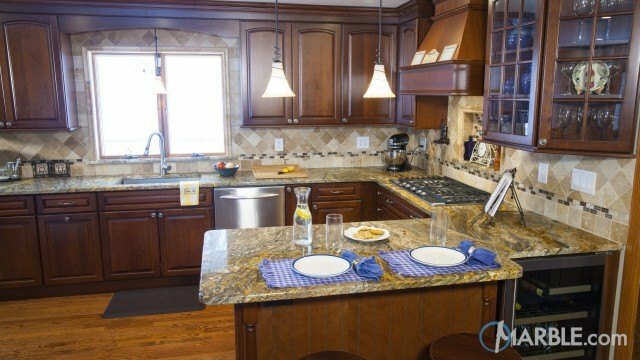 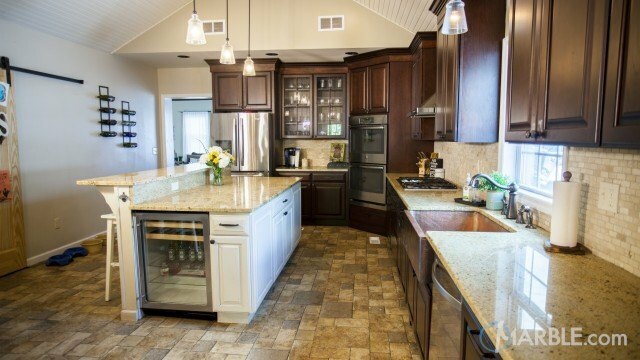 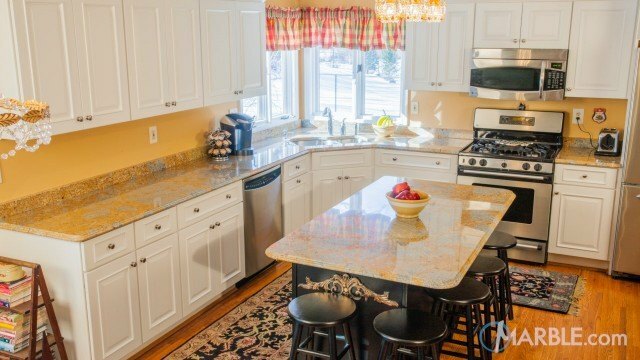 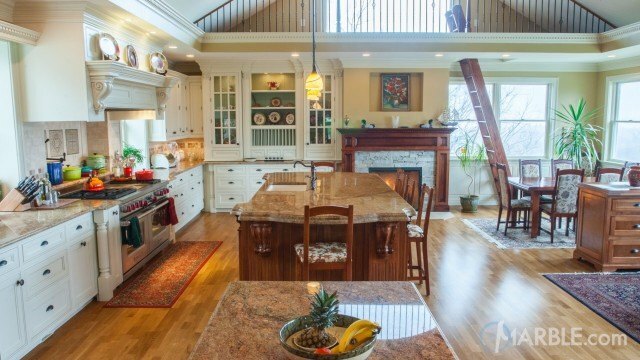 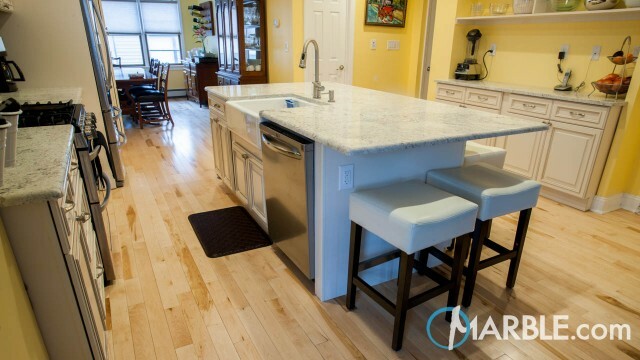 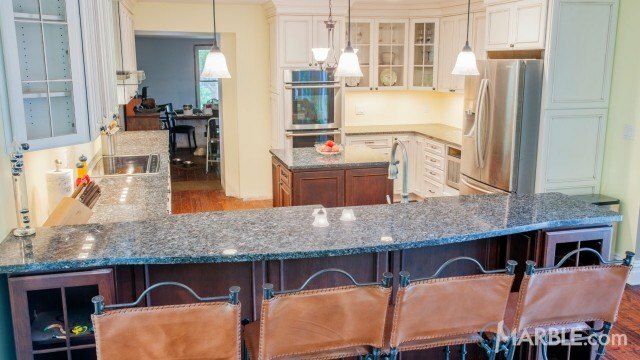 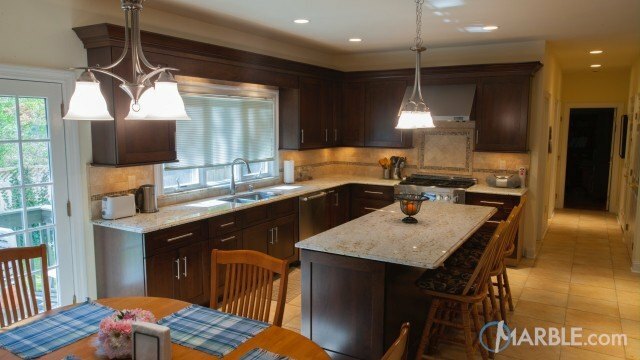 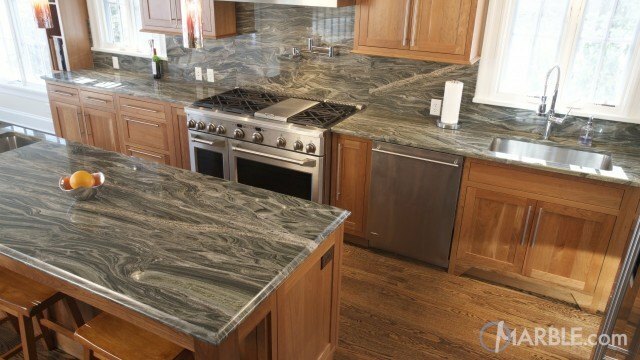 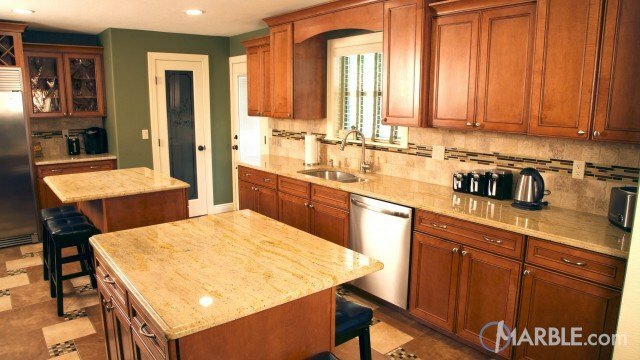 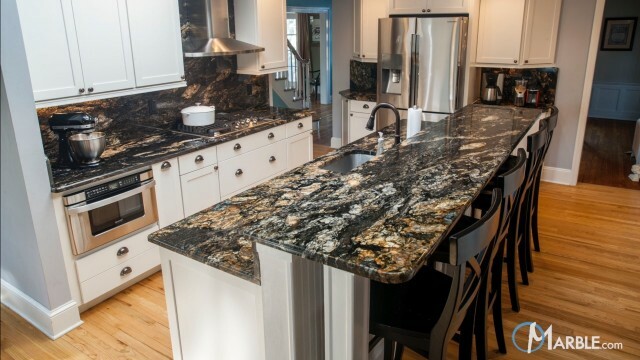 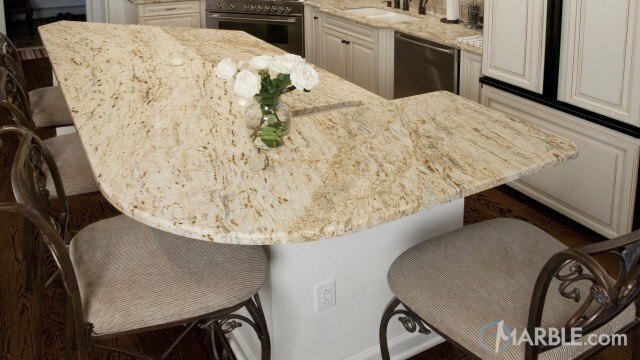 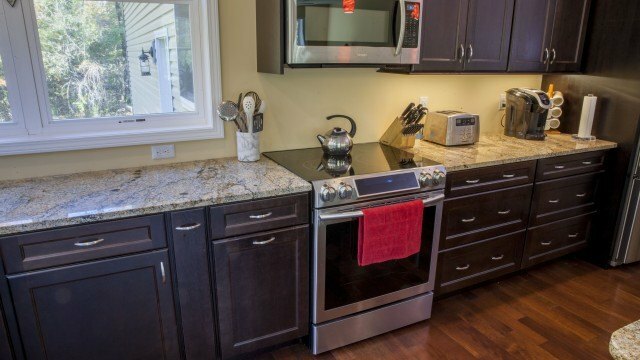 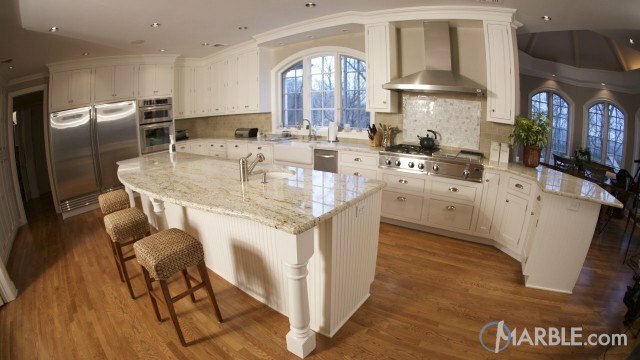 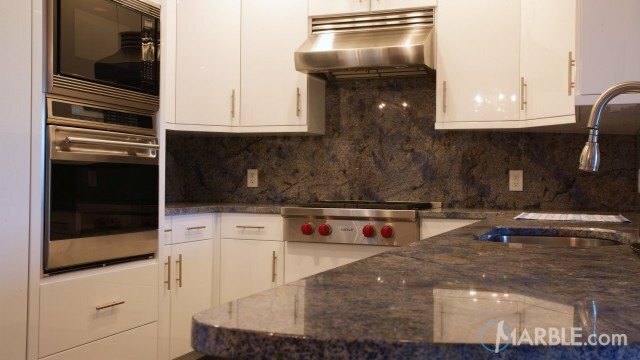 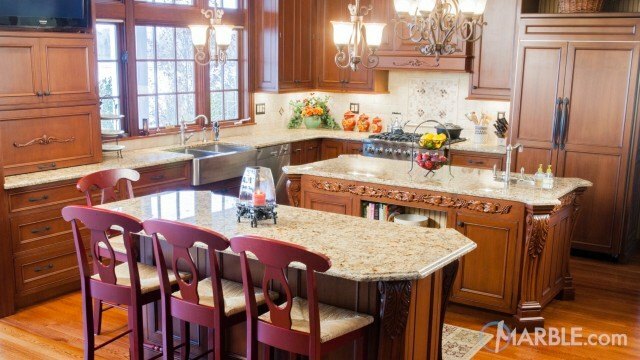 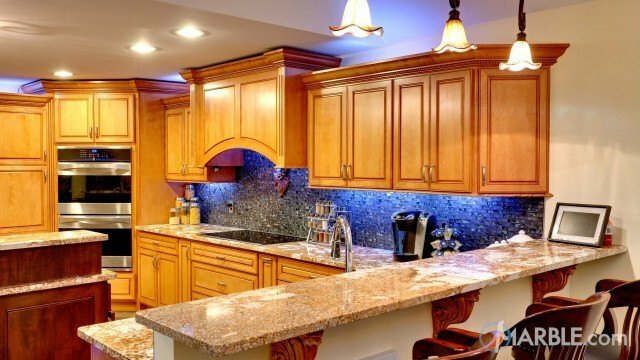 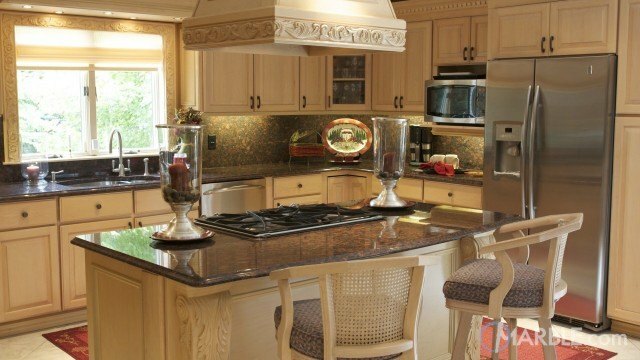 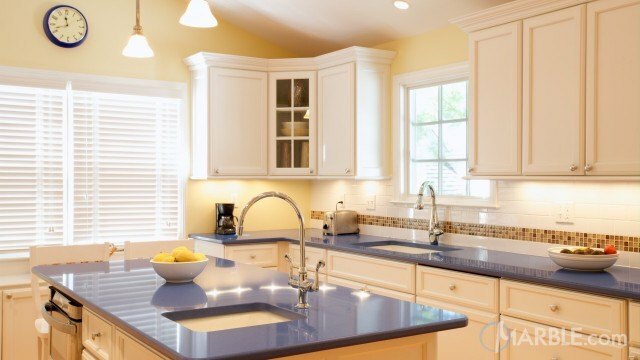 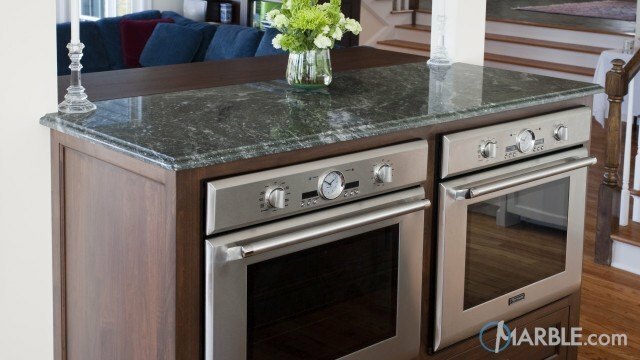 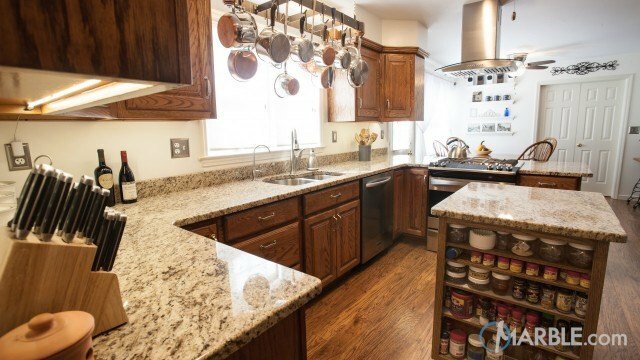 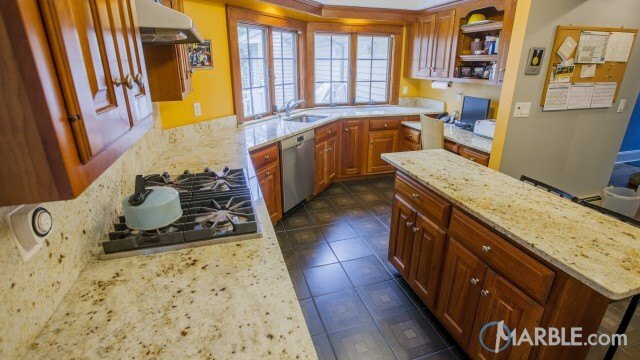 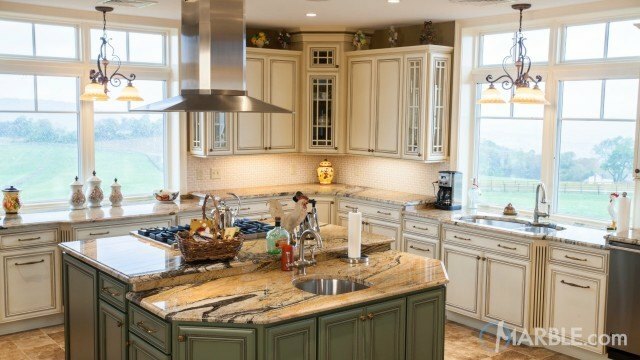 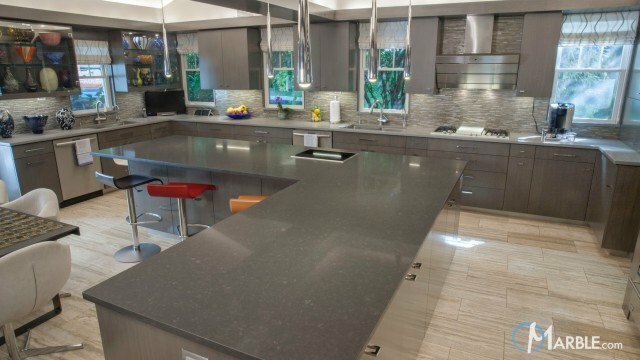 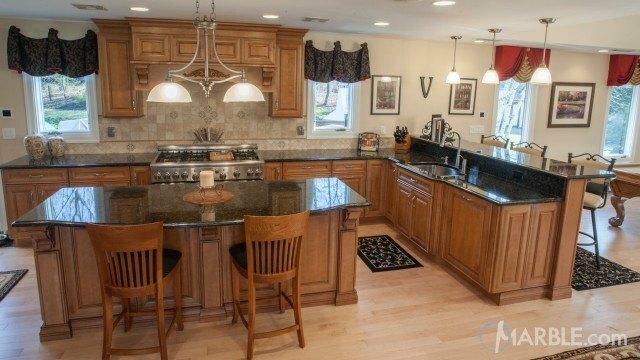 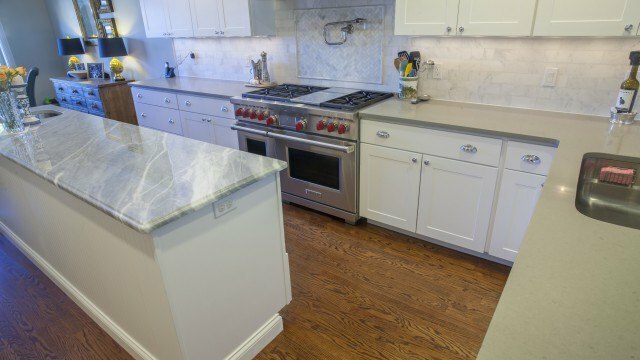 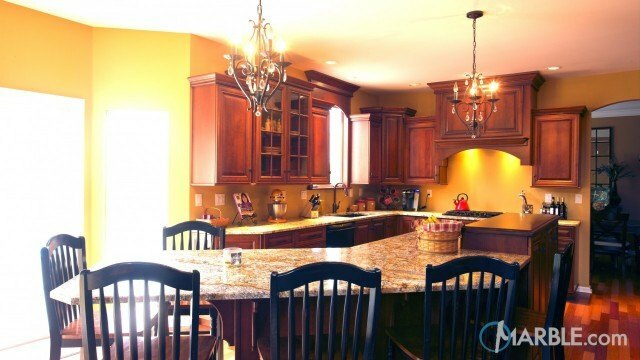 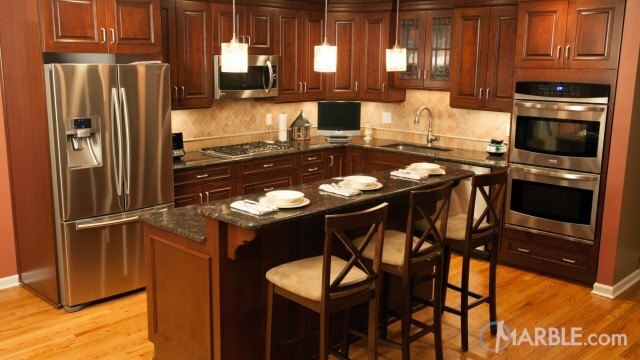 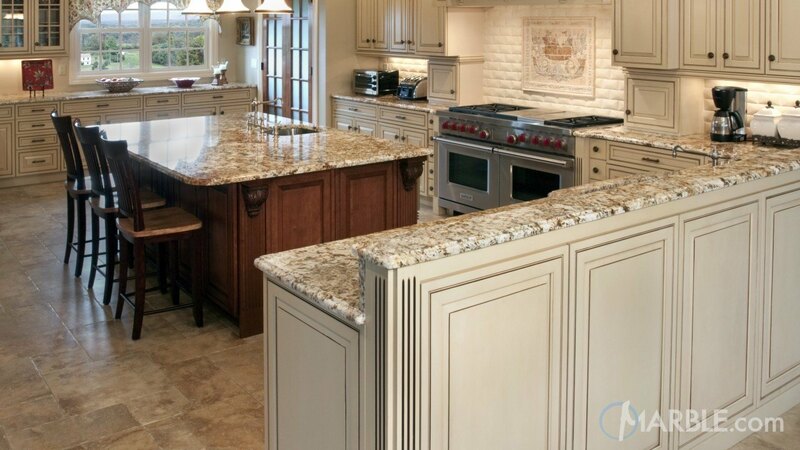 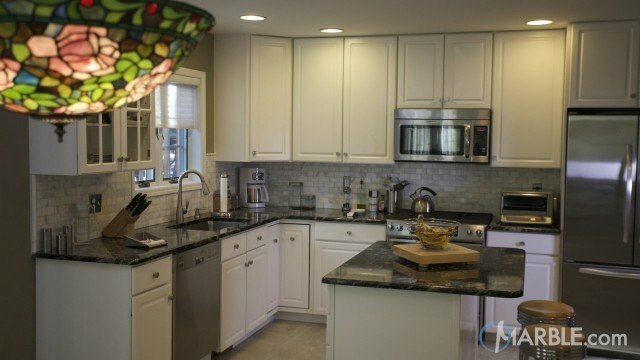 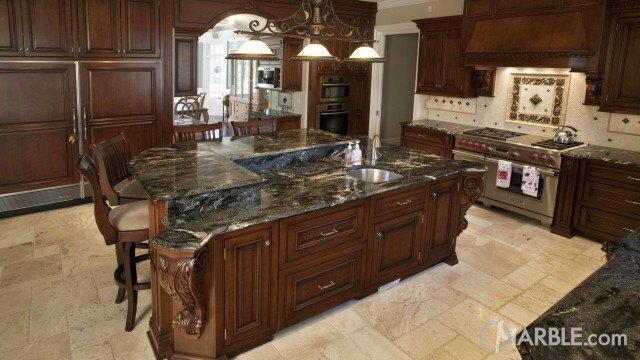 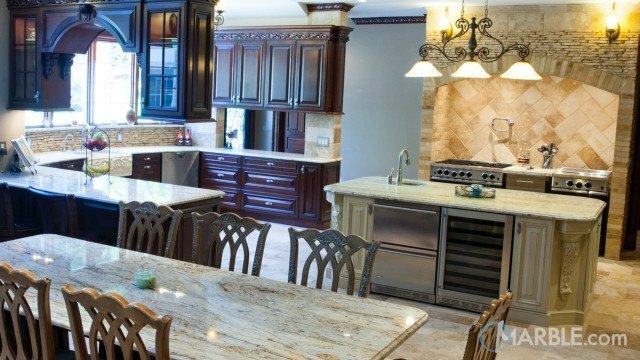 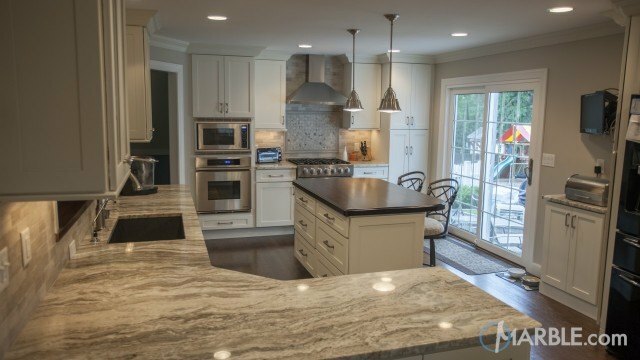 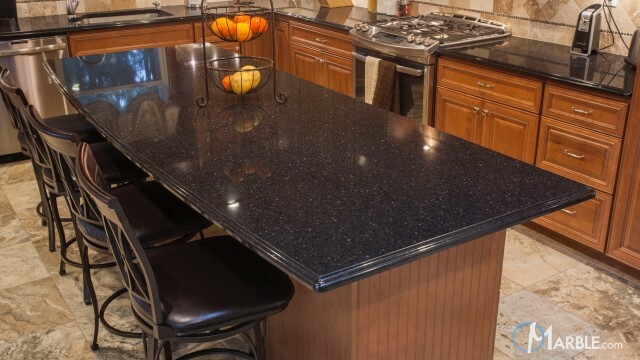 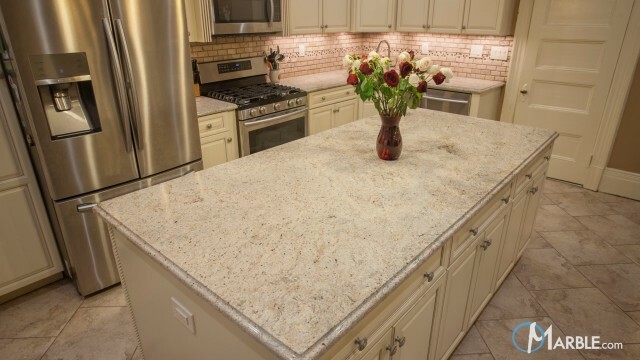 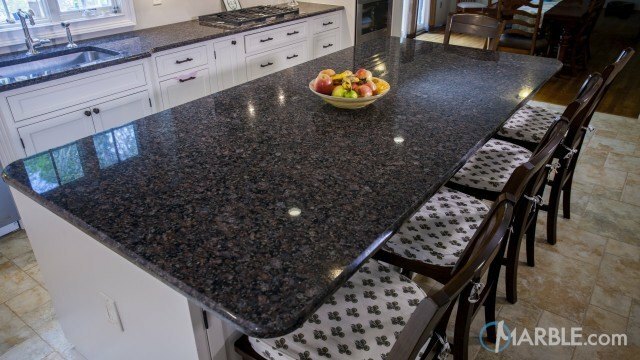 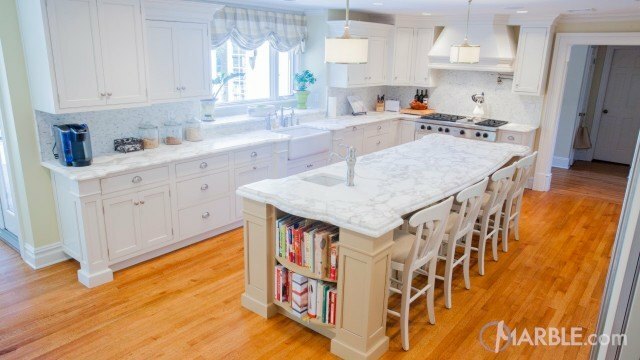 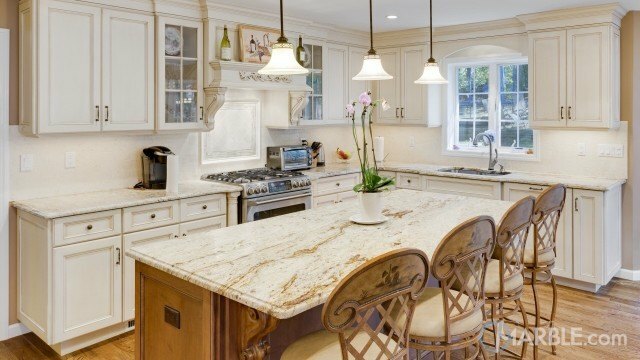 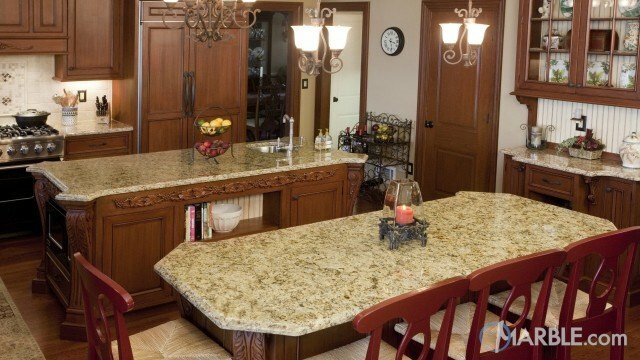 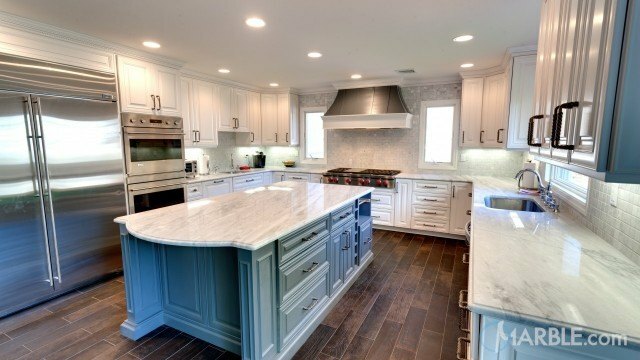 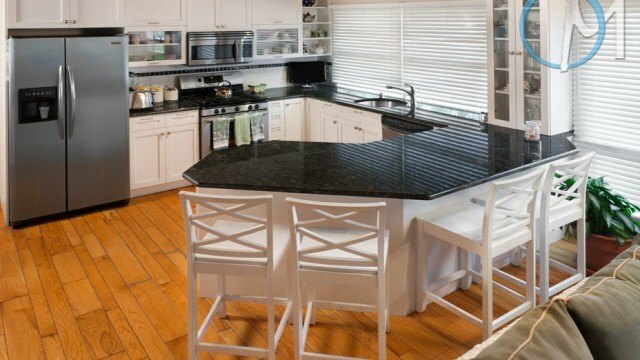 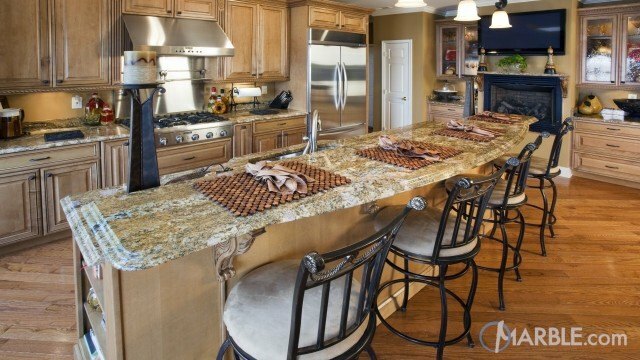 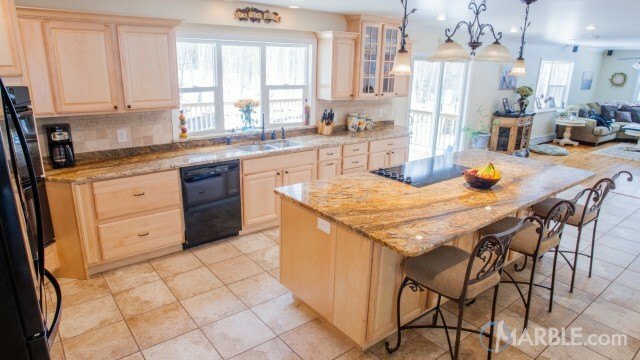 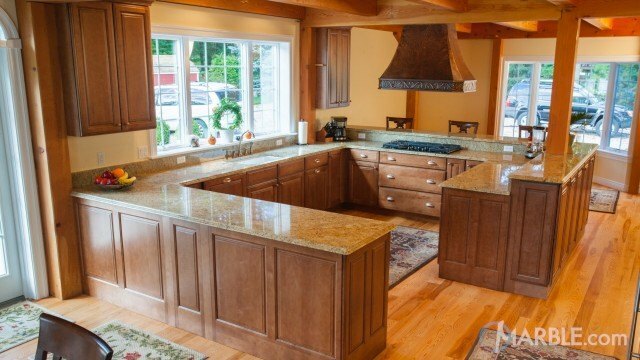 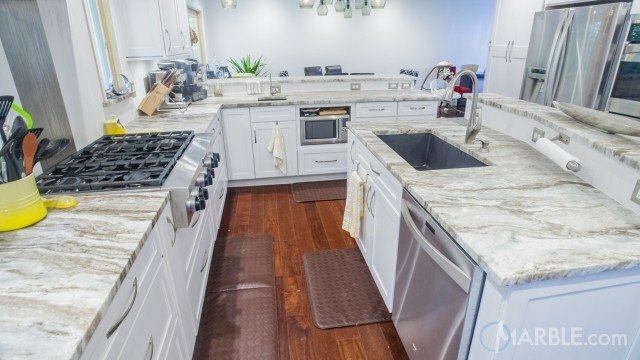 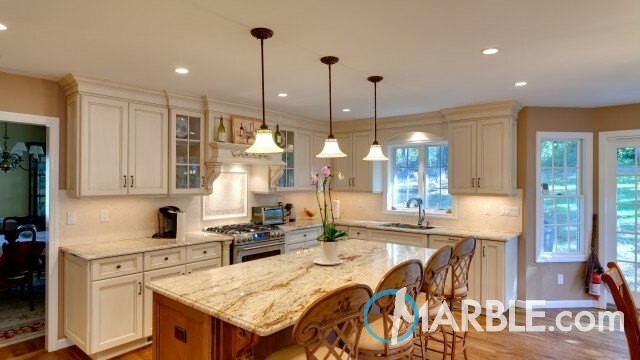 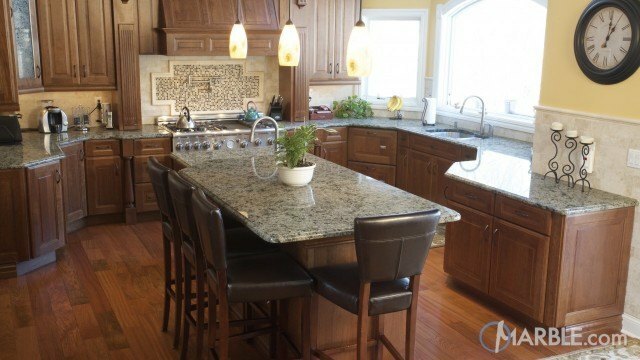 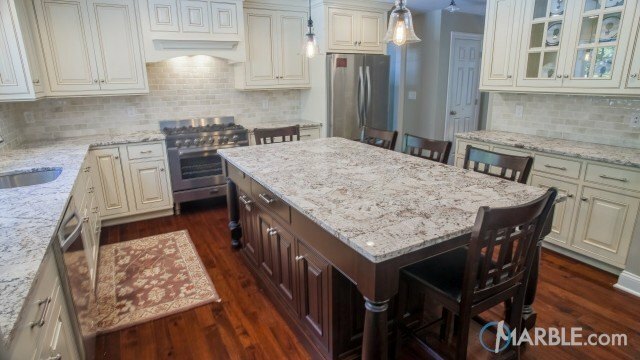 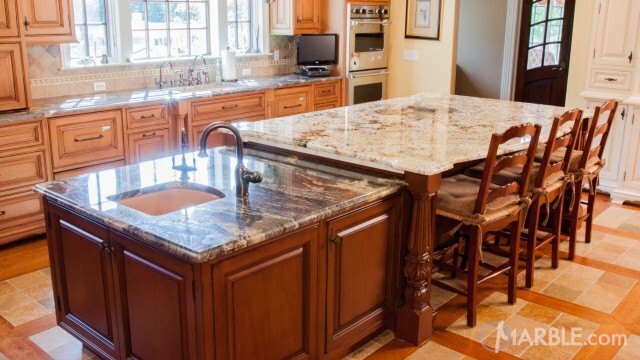 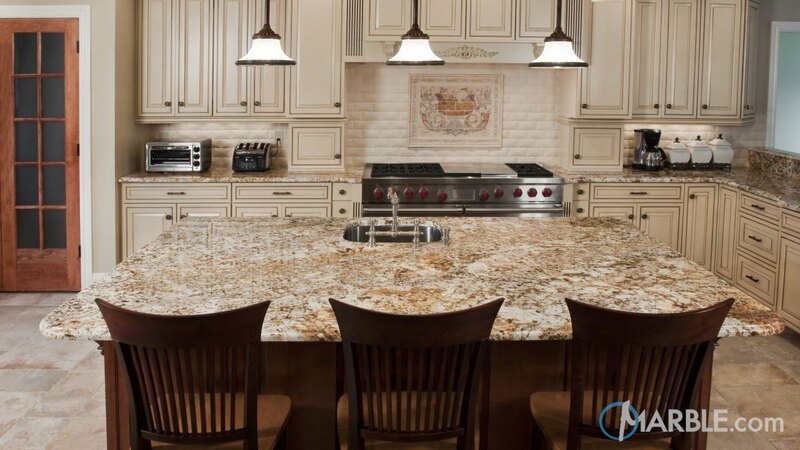 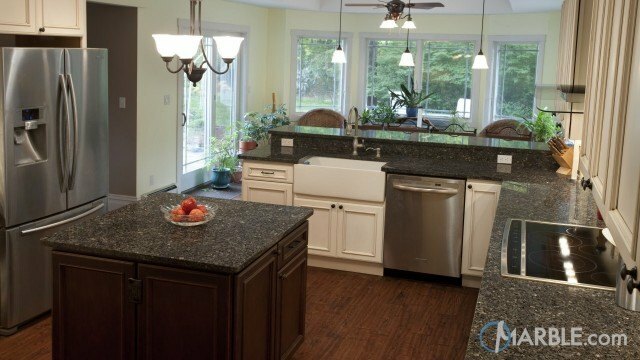 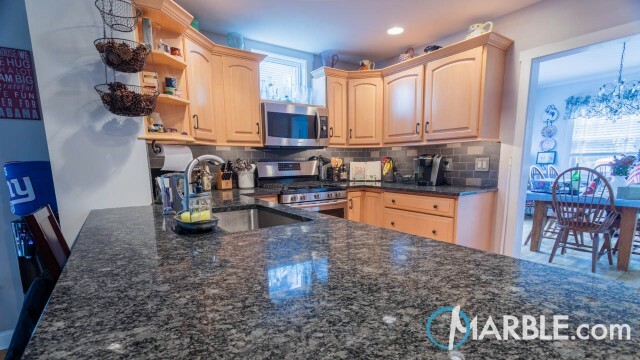 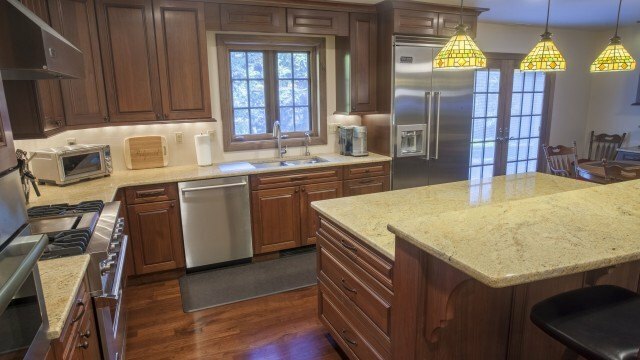 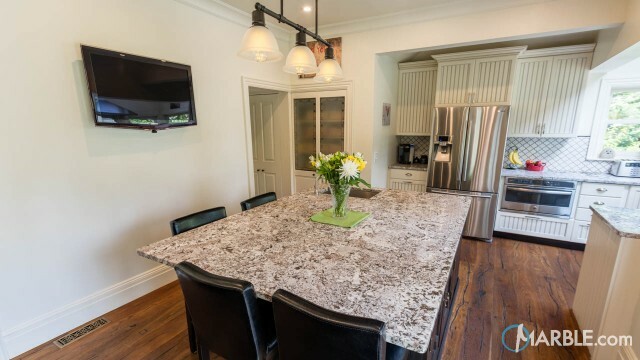 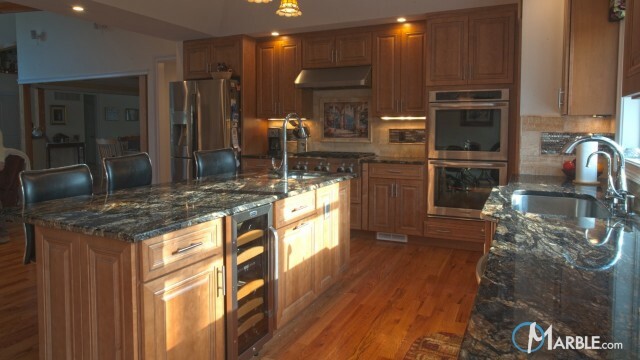 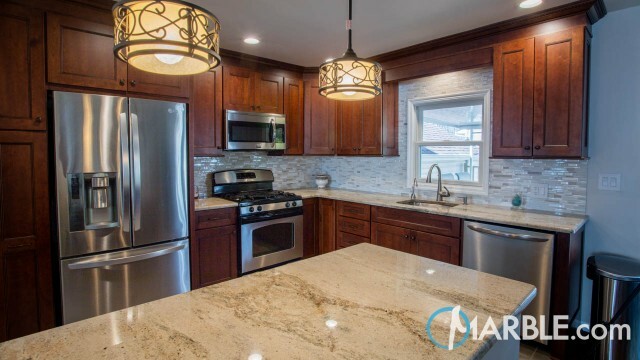 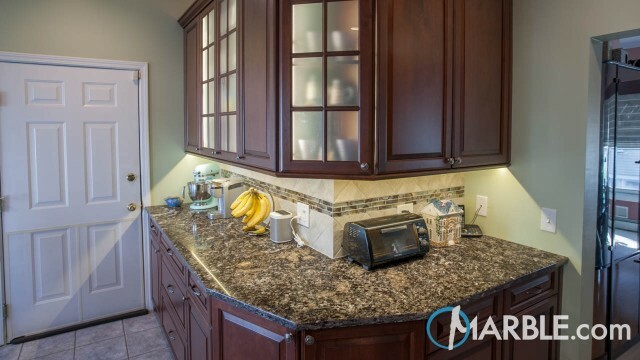 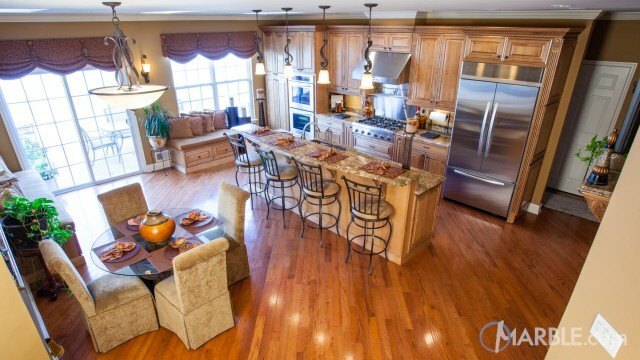 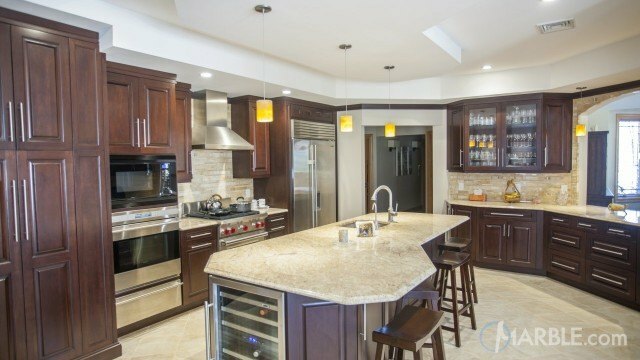 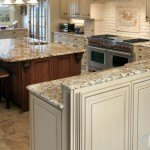 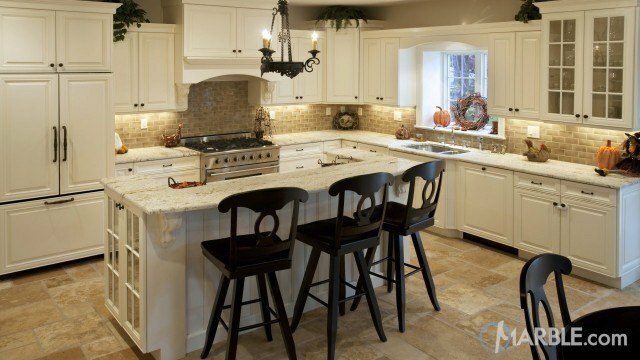 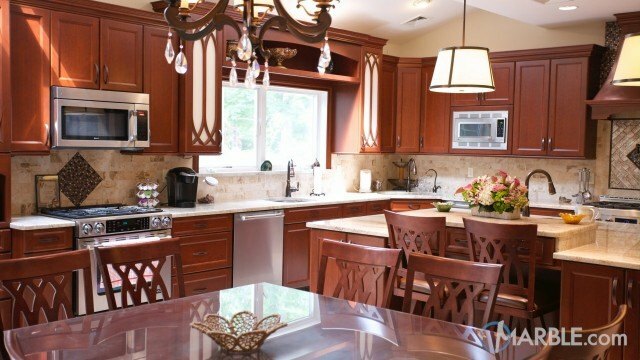 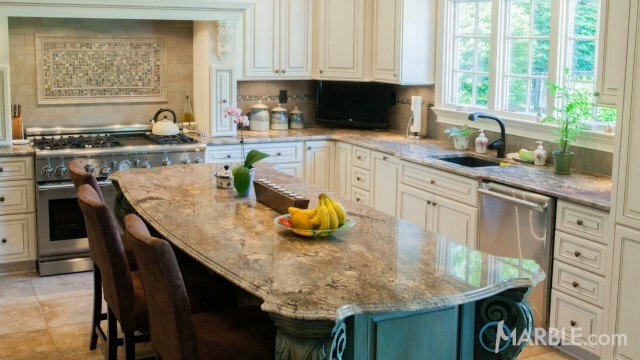 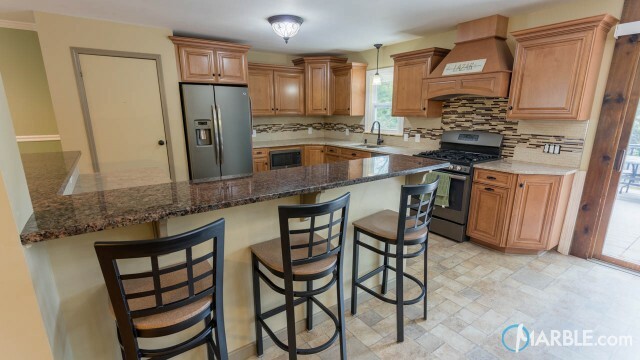 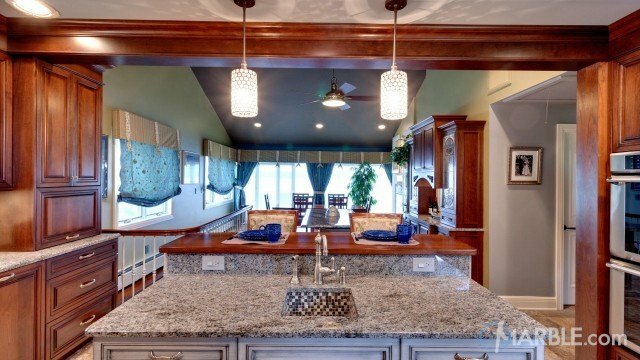 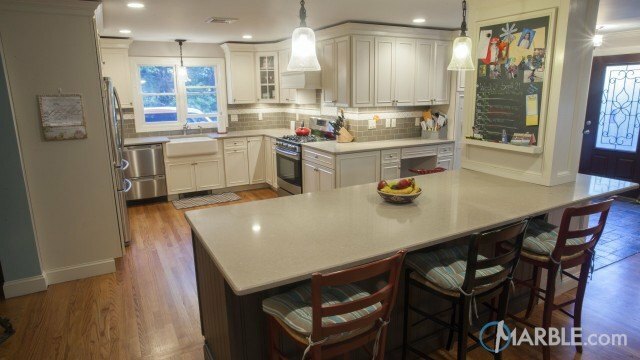 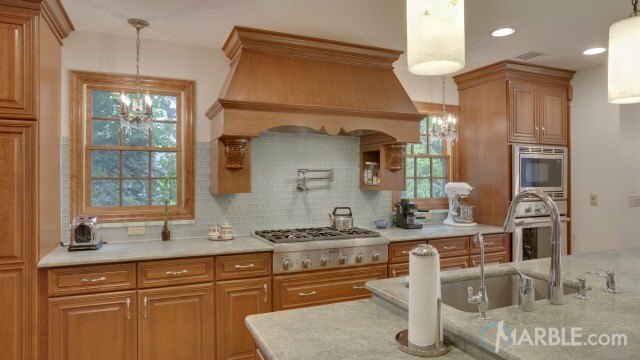 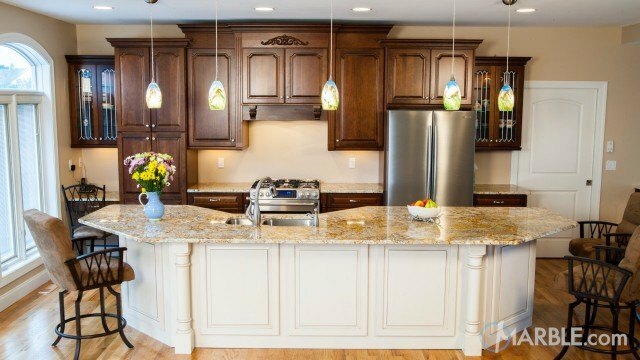 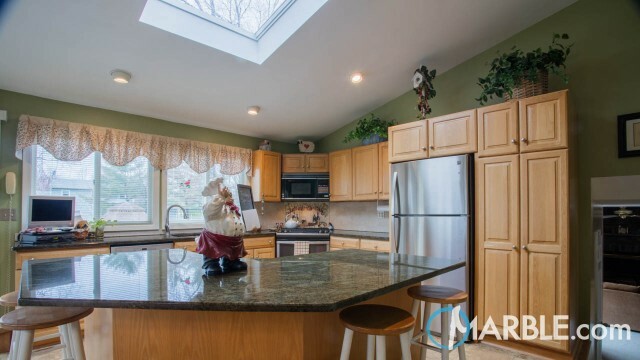 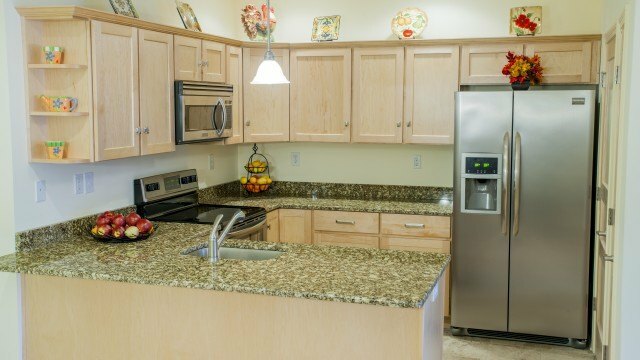 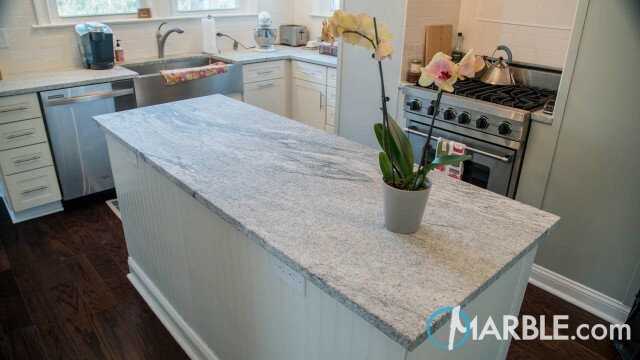 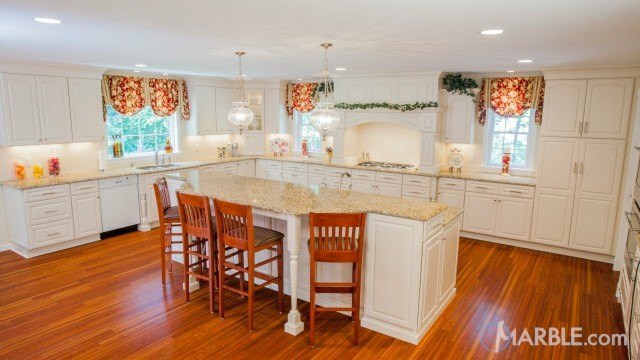 The Golden Beach EX granite in this kitchen creates a light and airy vibe in this center island kitchen. 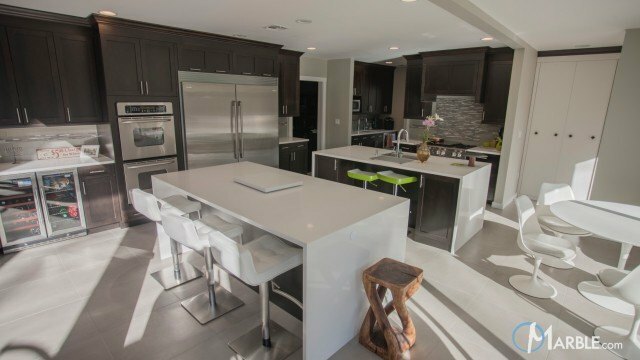 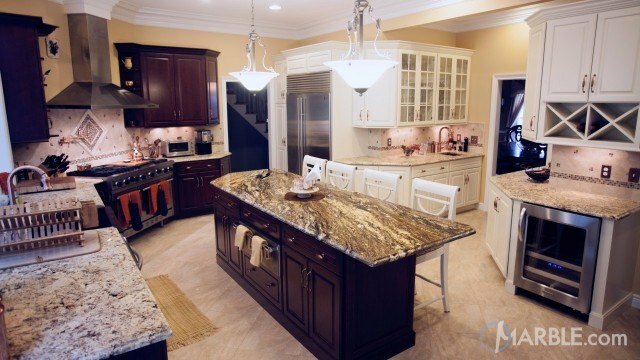 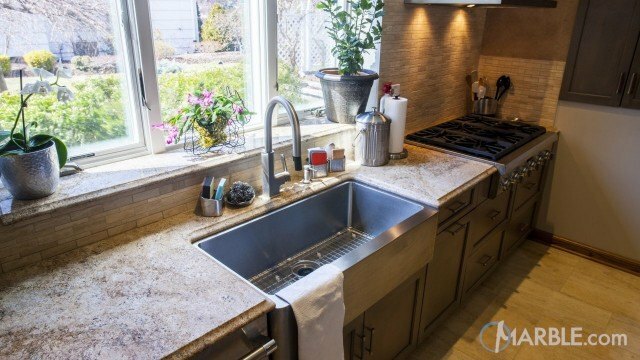 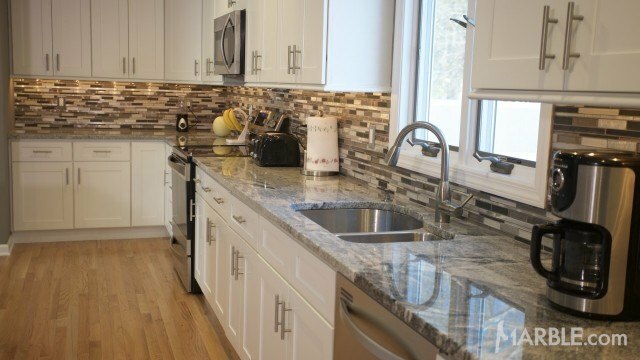 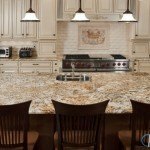 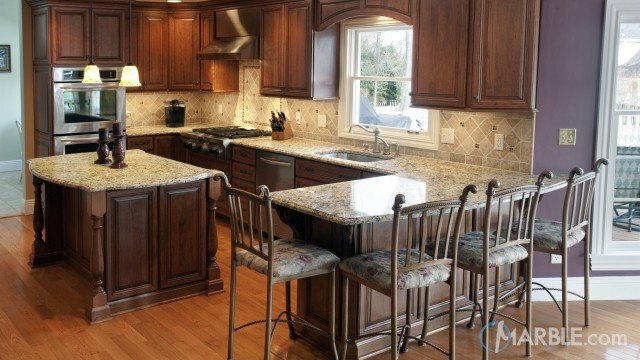 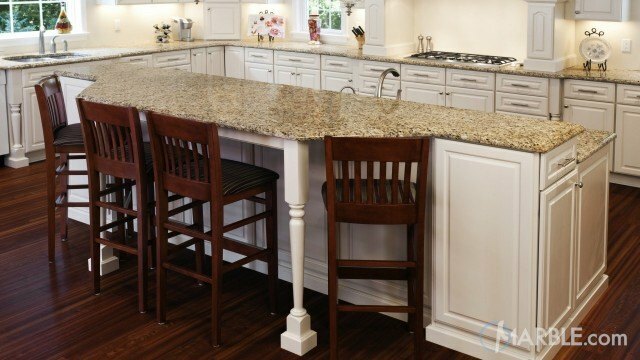 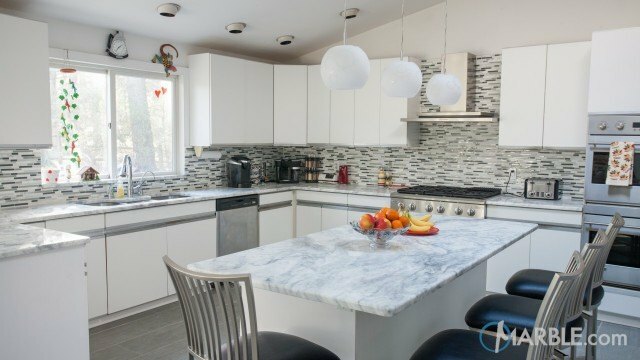 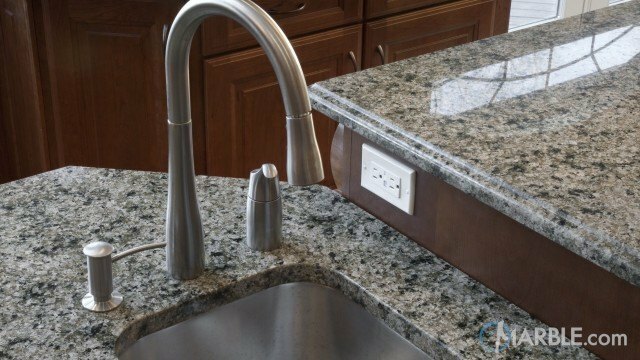 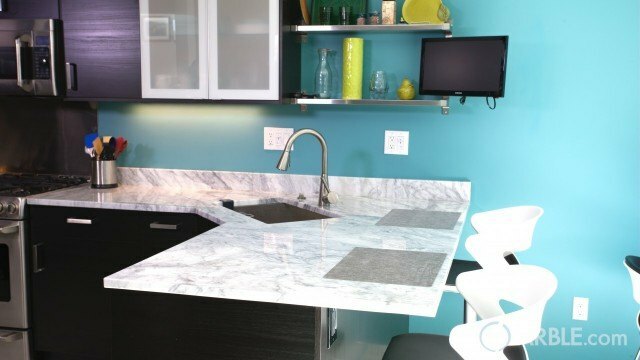 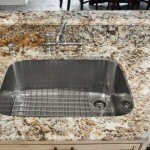 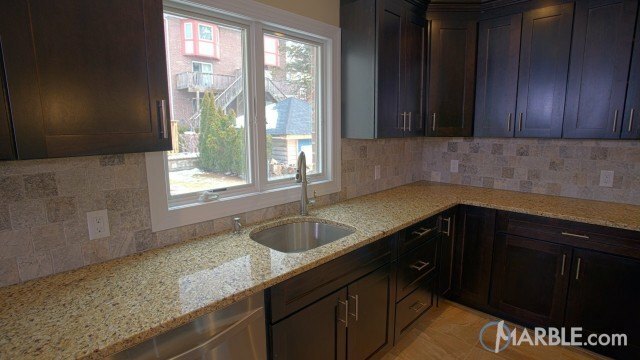 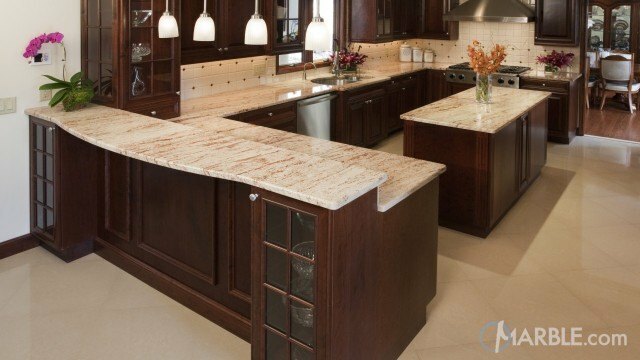 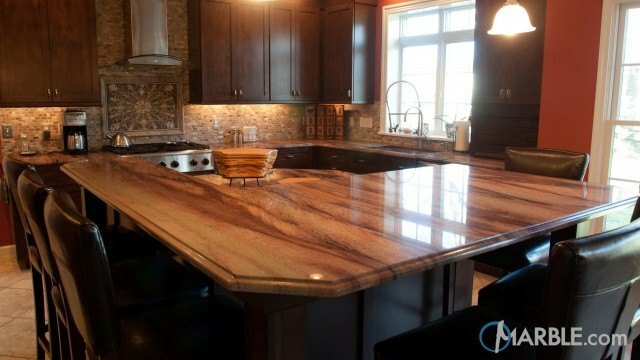 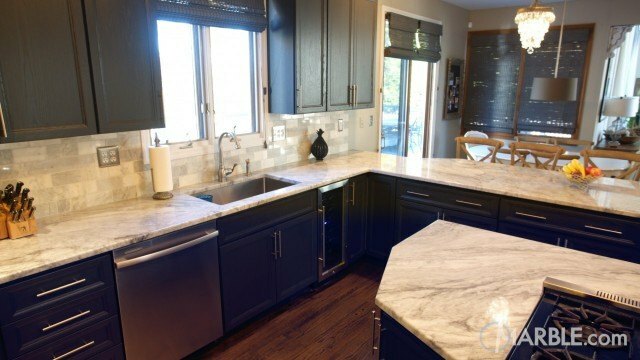 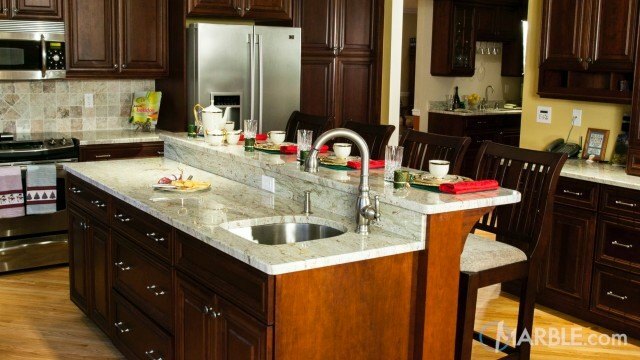 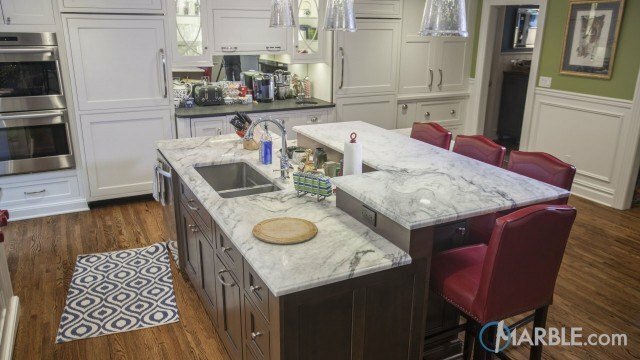 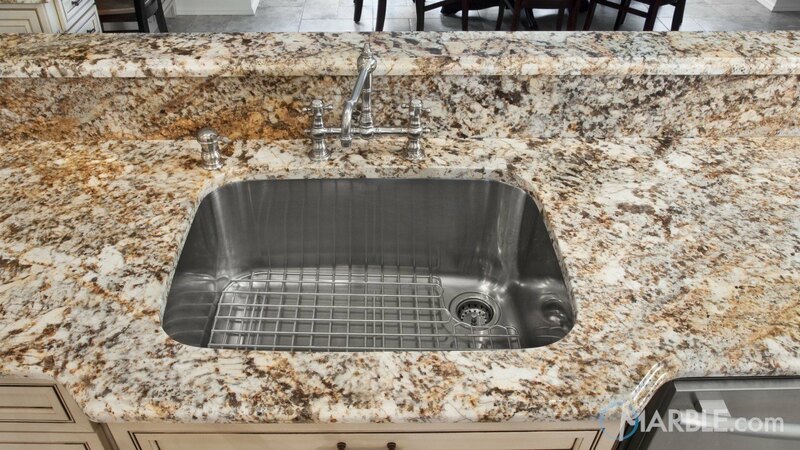 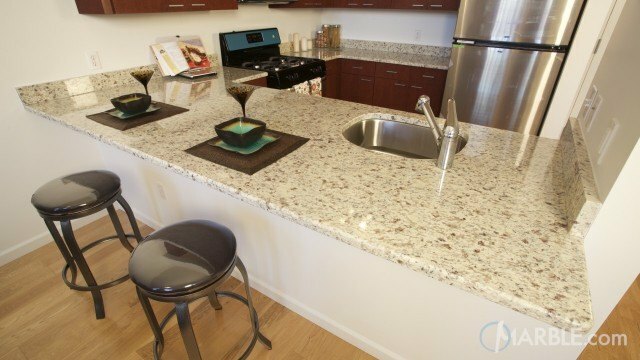 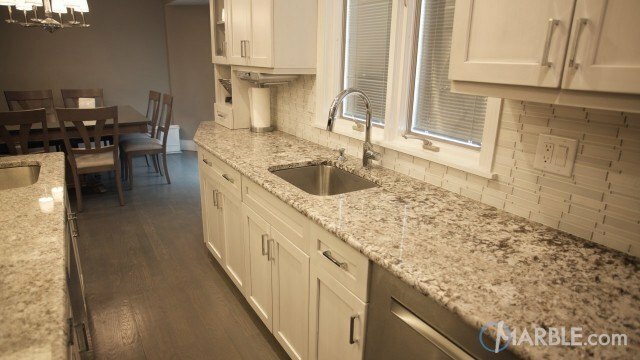 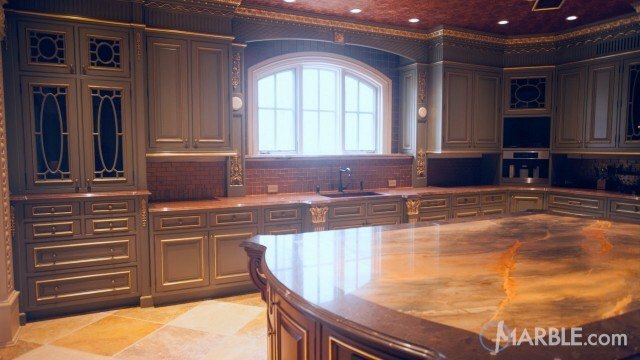 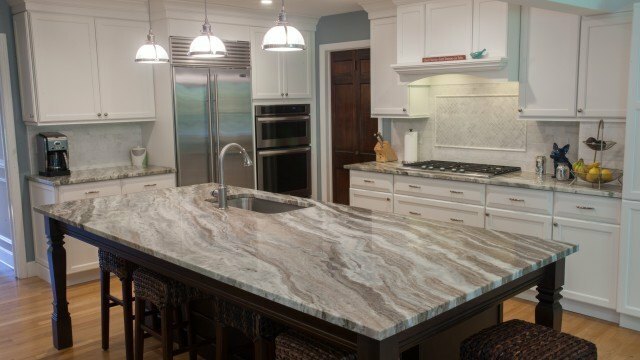 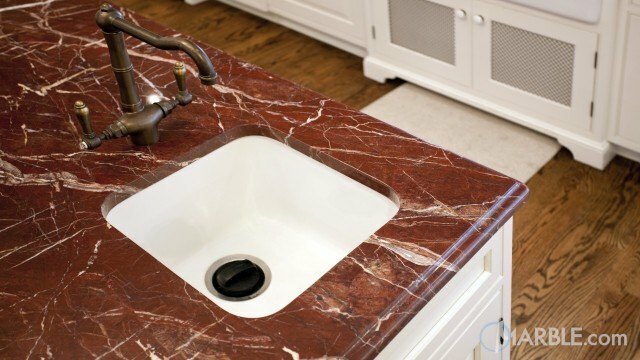 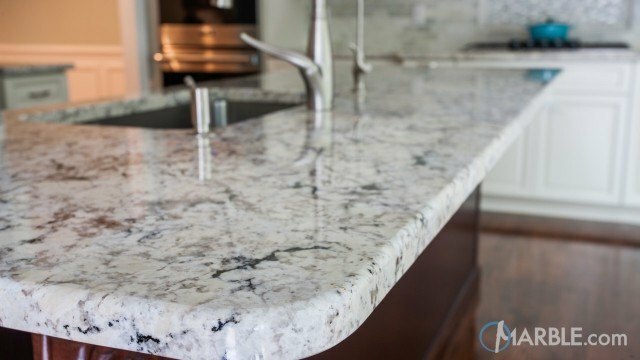 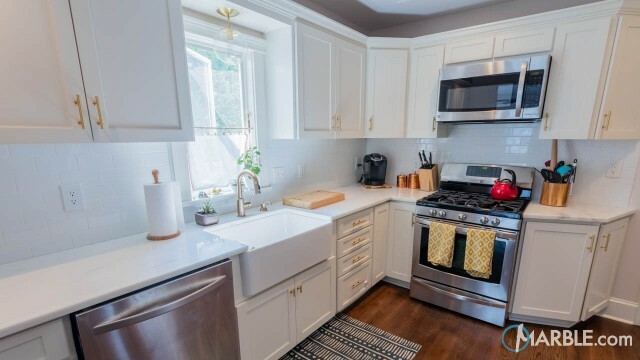 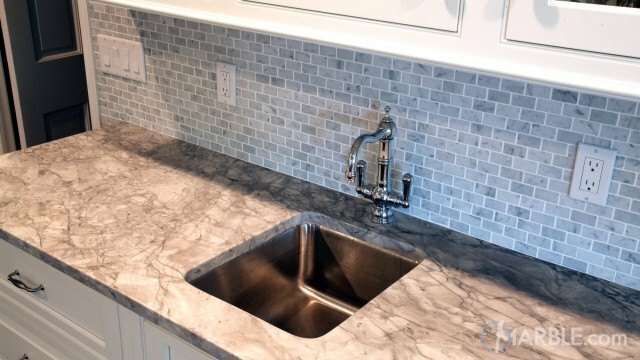 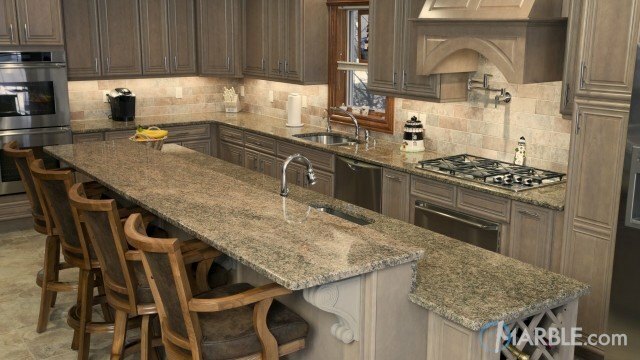 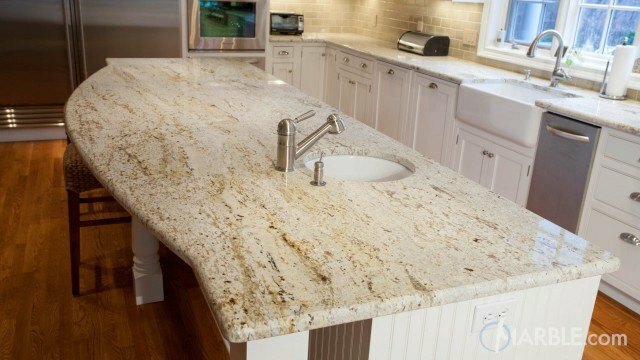 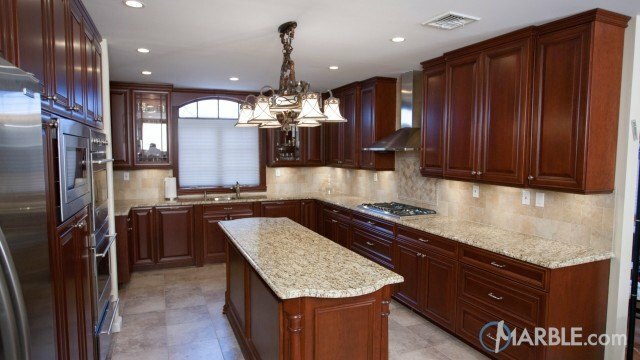 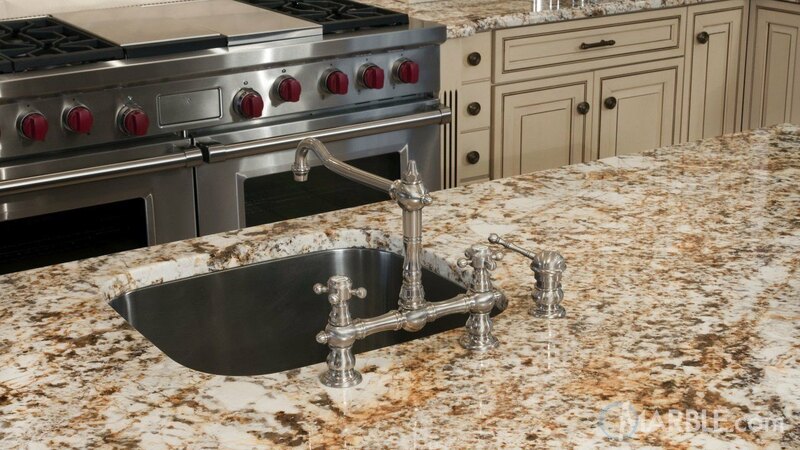 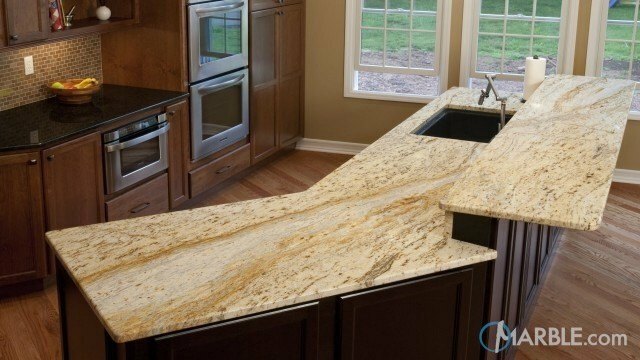 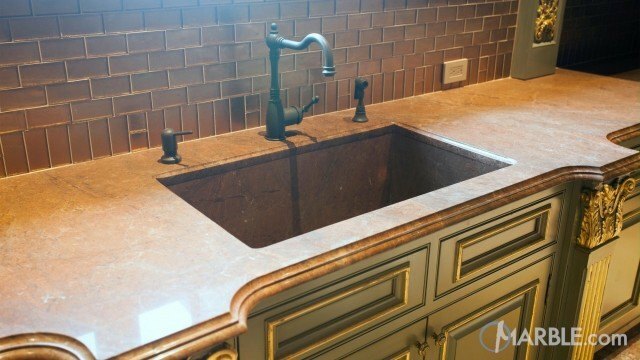 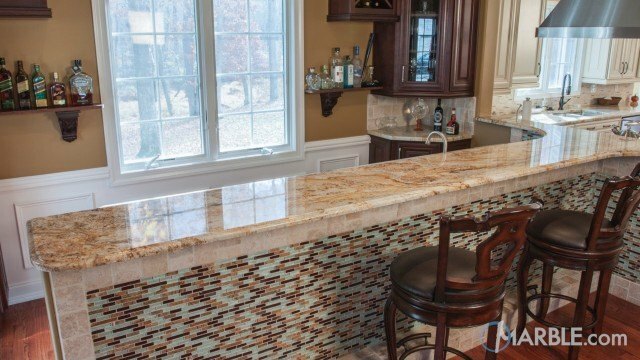 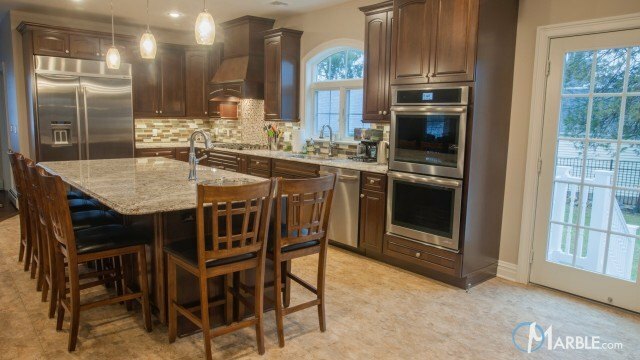 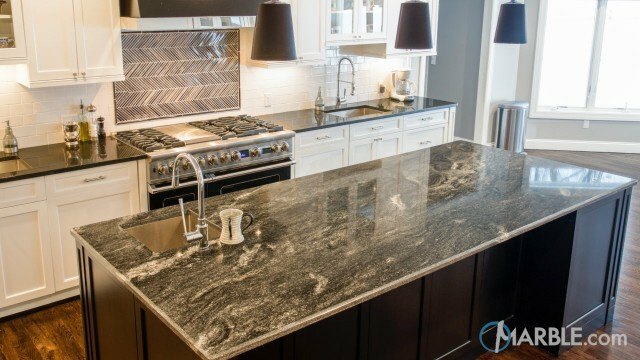 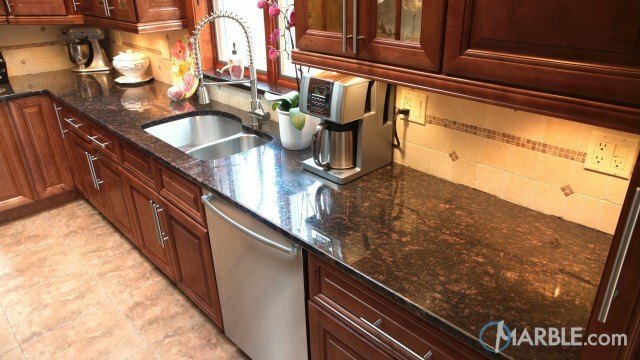 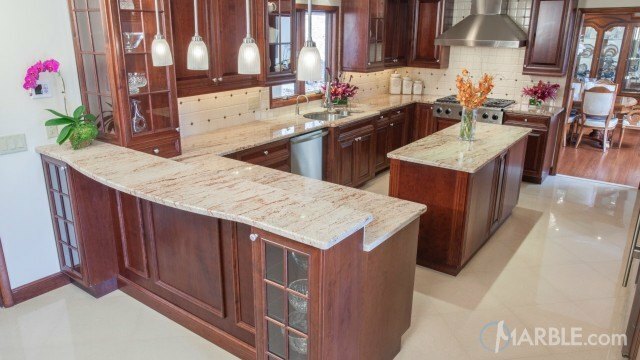 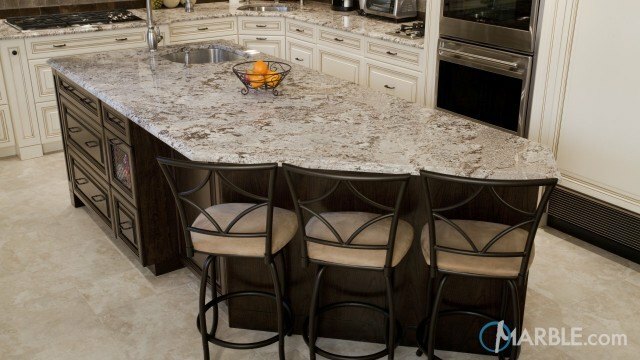 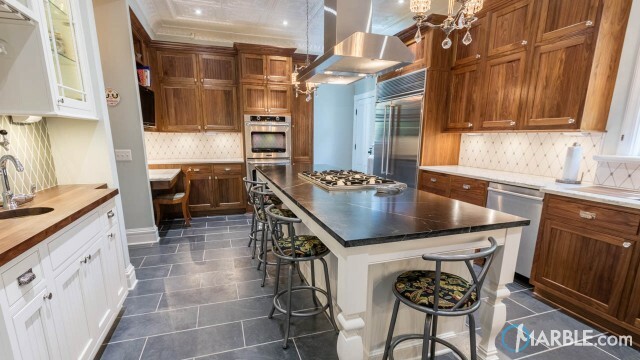 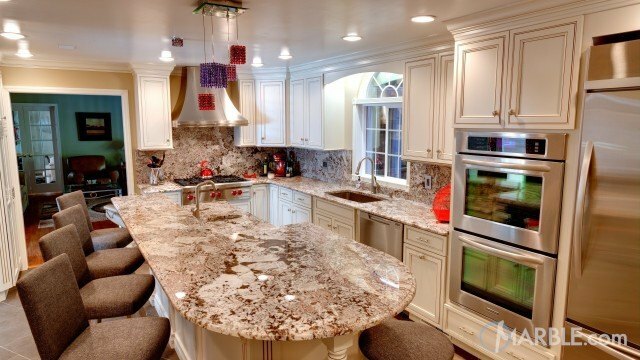 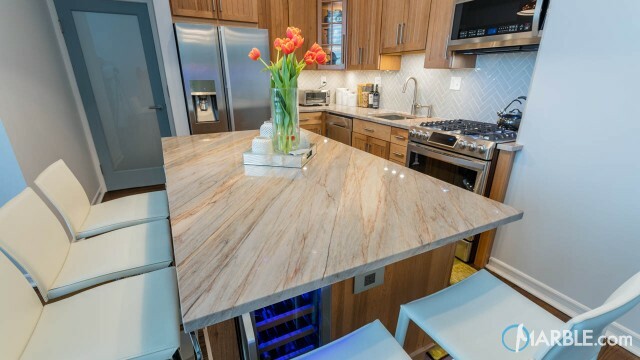 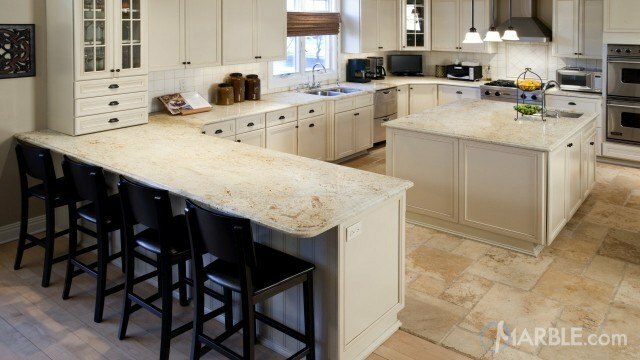 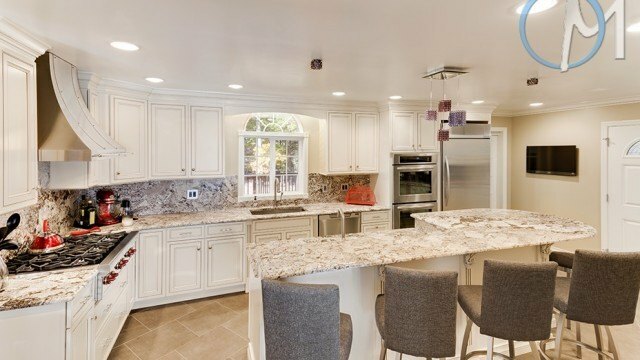 Speckles of brown, beige, white and gold expertly compliment the off-white counter tops, while the brown island provides enough contrast to stand out. 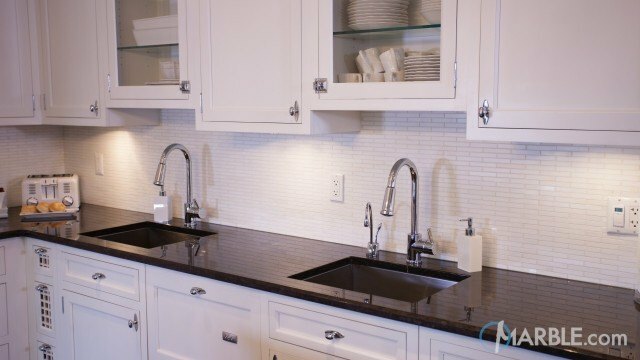 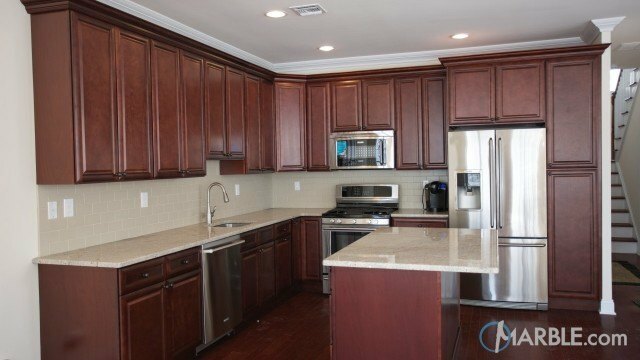 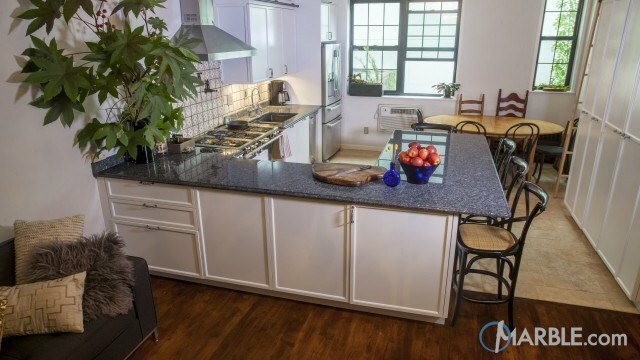 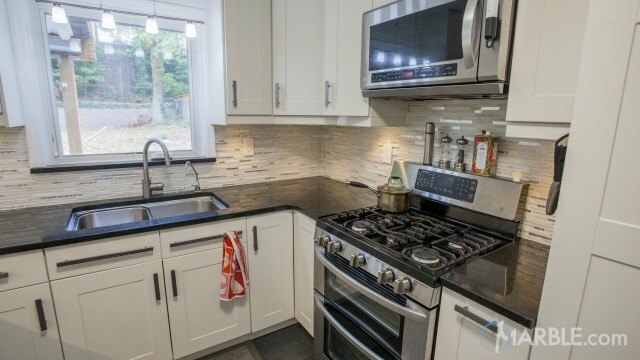 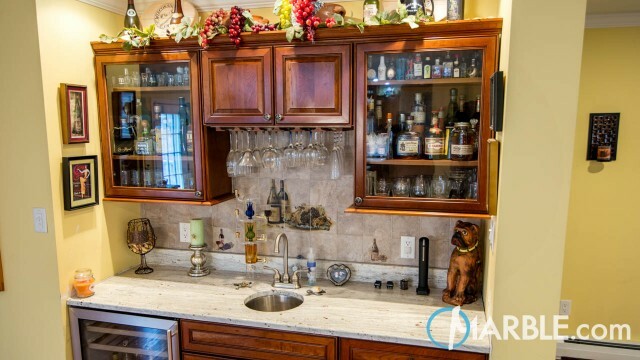 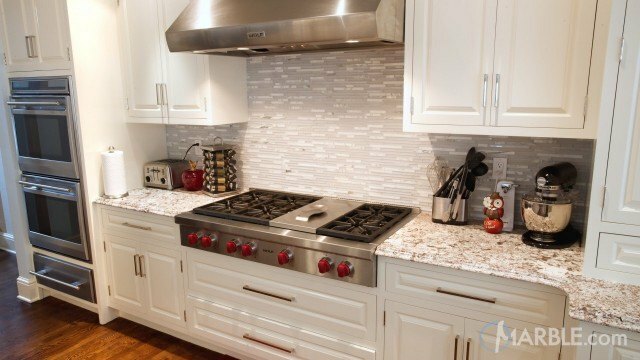 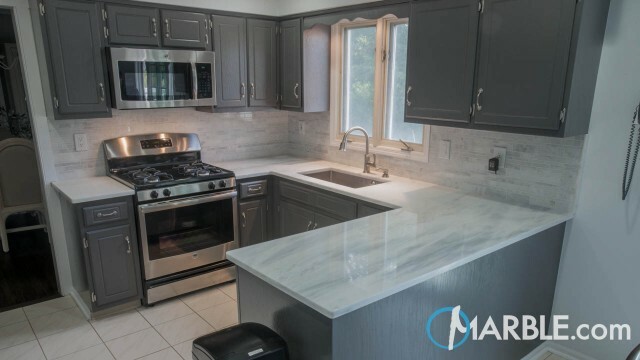 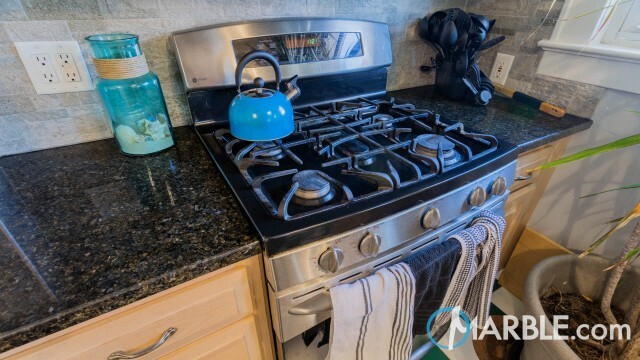 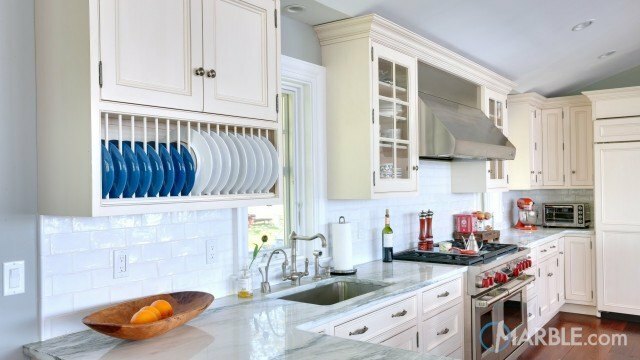 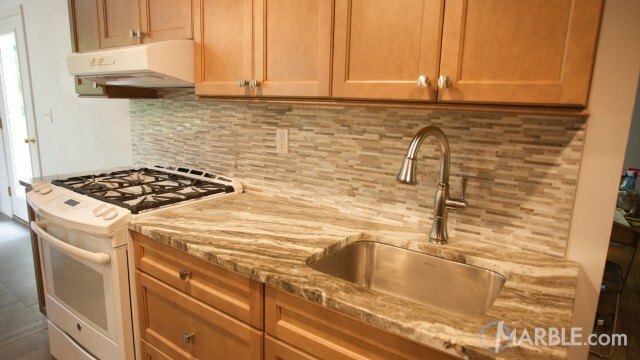 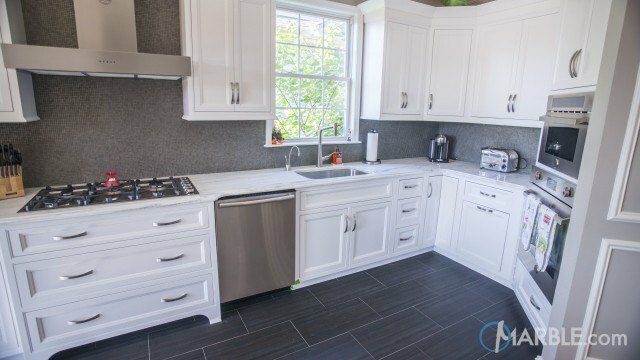 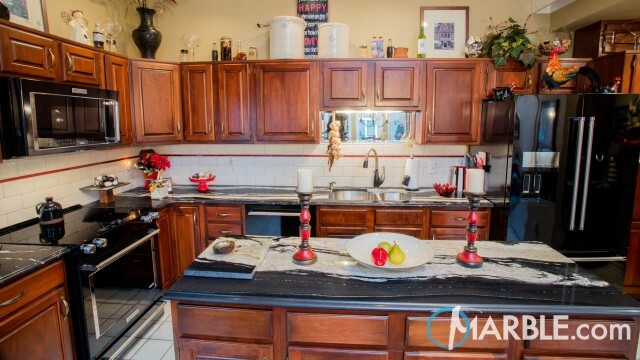 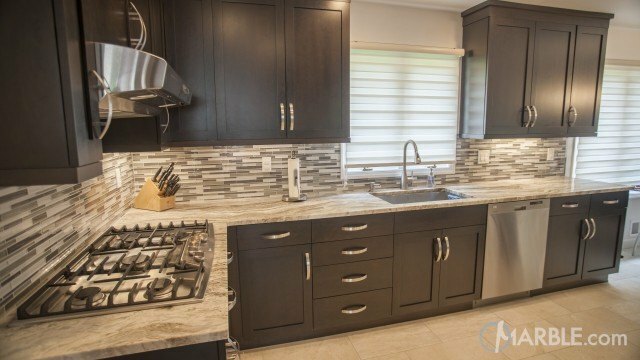 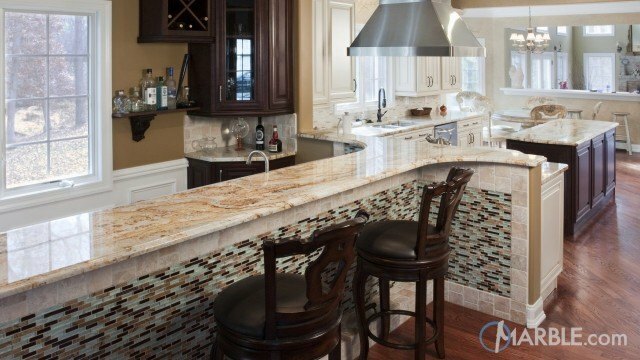 A beautiful tile backsplash completes the room.